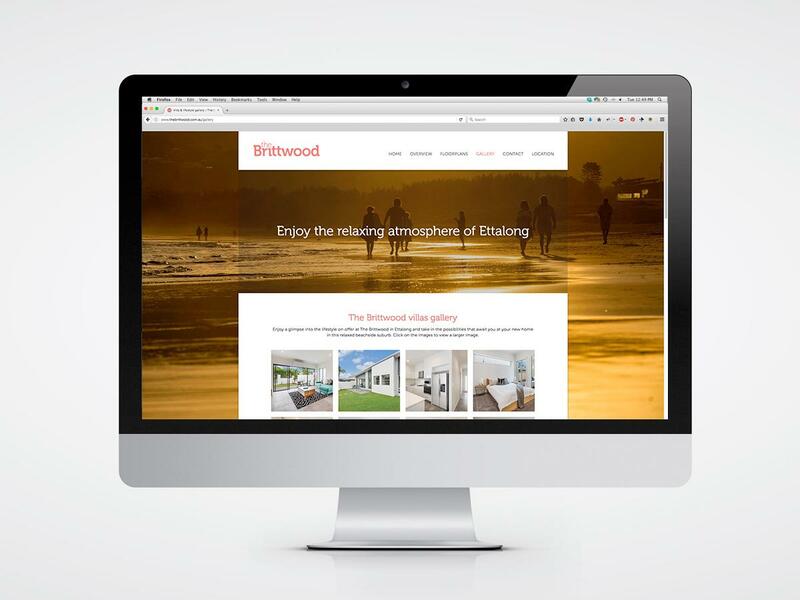 A creative agency passionate about design and who understand how to bring you distinctive, creative solutions. 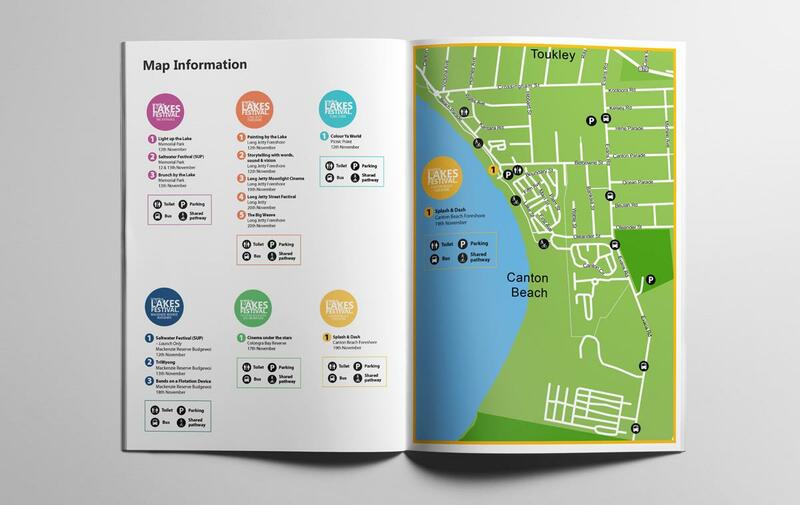 Graphic by Design is a full-service agency located on the Central Coast that services clients both local and nationwide. 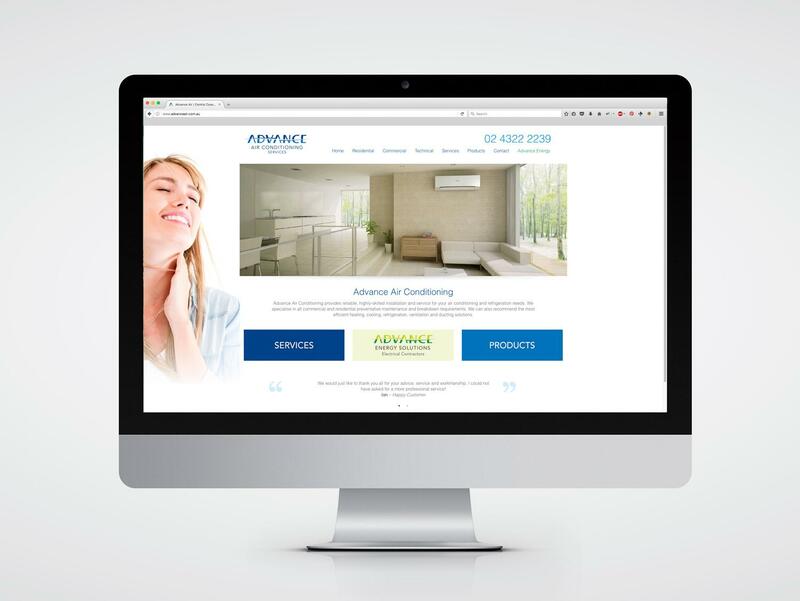 With 30+ years experience in graphic design, our talented team of graphic designers create work that gets attention, embodies your brand and connects with your target audience. 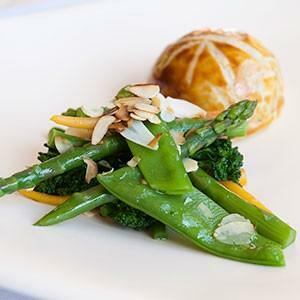 So talk to us and get a fresh perspective. 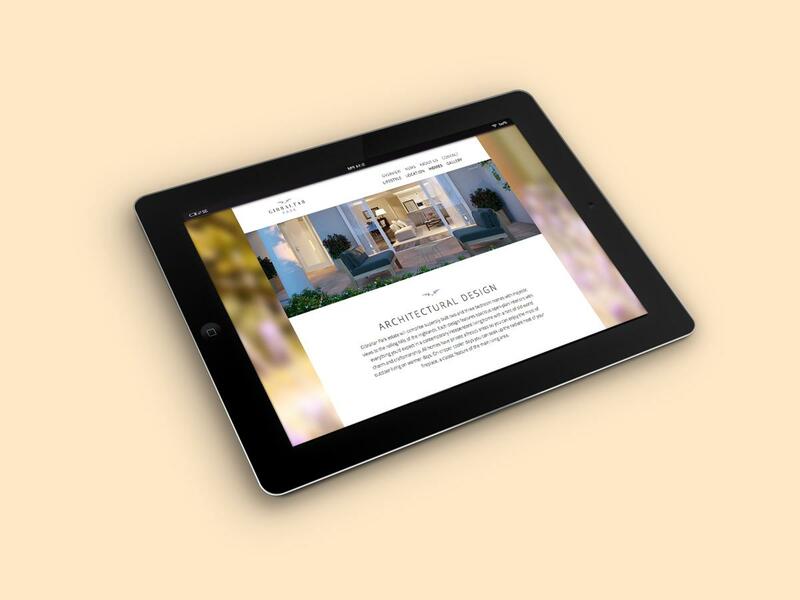 As a full-service creative agency, we have everything you need all under one roof. 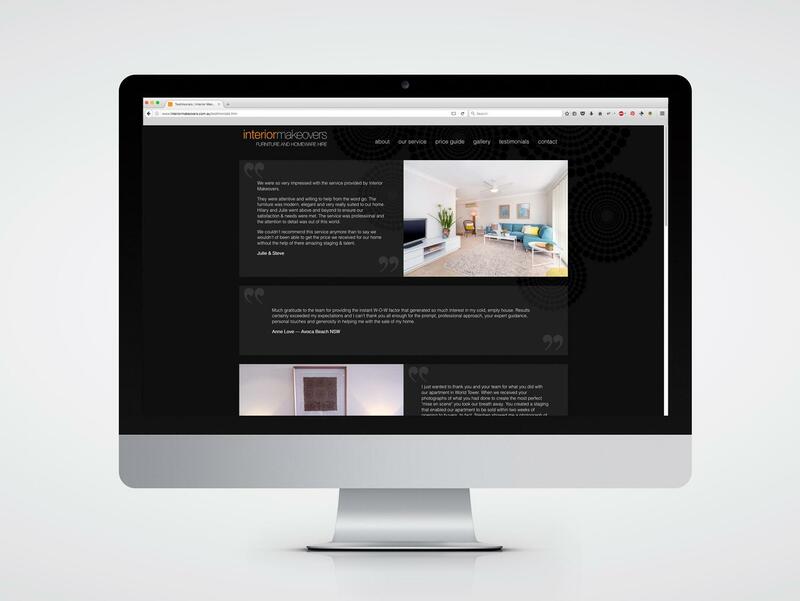 With our expert knowledge, innovative designs and professional ongoing support, you will get results – But don't take our word for it. 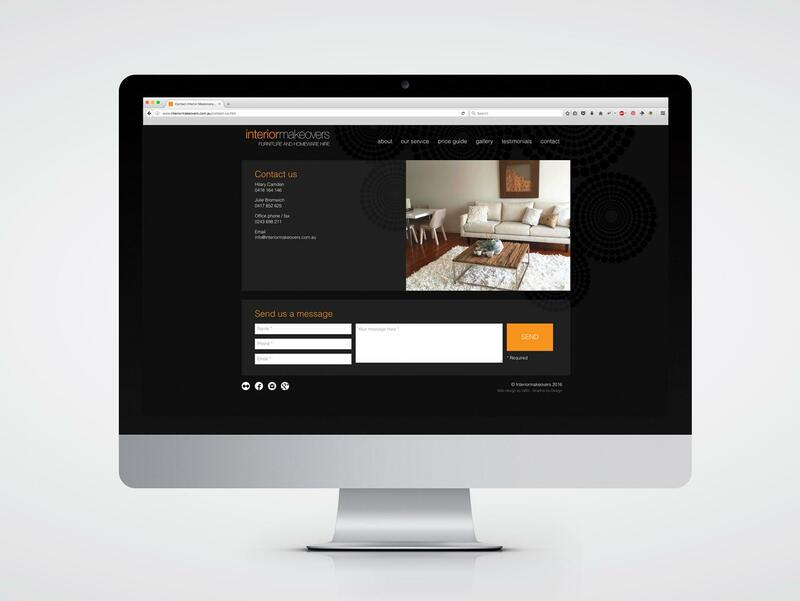 See what our clients say. 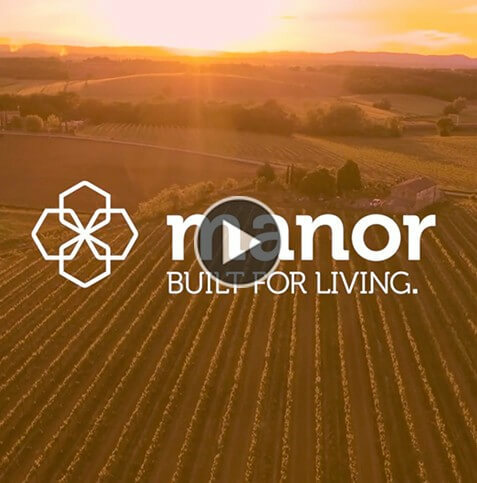 Graphic by Design helped guide us from concept to production, and delivered an amazing logo and branding package that really stands out from our competition. 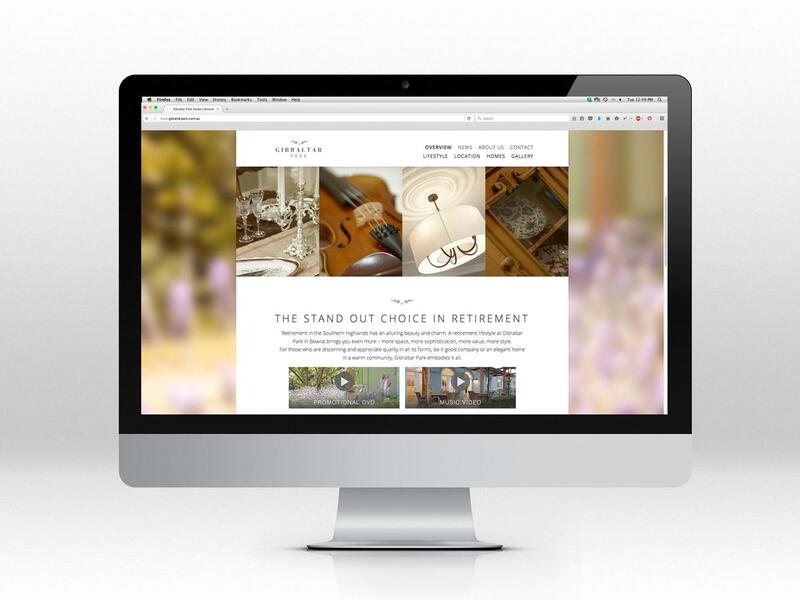 After starting our business 16 years ago, with a word of mouth referral about the fabulous GBD, we asked them to create a new website, logo, letterhead and appropriate paperwork for our new furniture hire business. 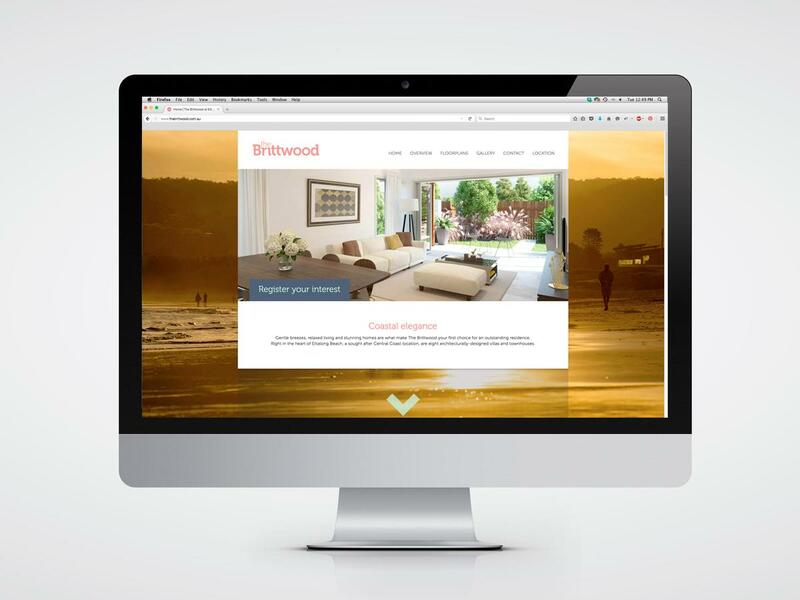 Creating a vision for a relatively new concept of furniture hire on the Central Coast – and what an amazing job they did. Still going strong 16 years later, we were in need of a revamp, which included a new website and left it all in their capable hands. GBD continued to listen to our requirements and assist with any hiccups we have – which is great not being techno savvy at all. 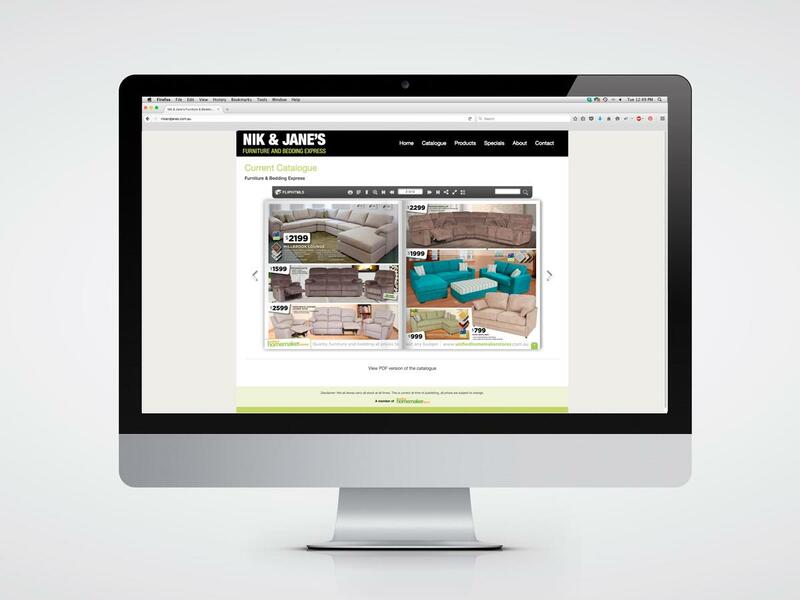 We are so grateful and love the new look. 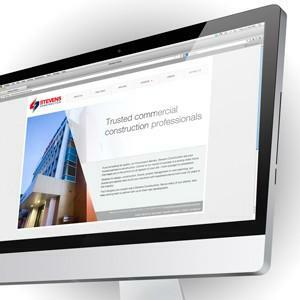 We continually have very positive comments about our website. Thanks so much GBD! 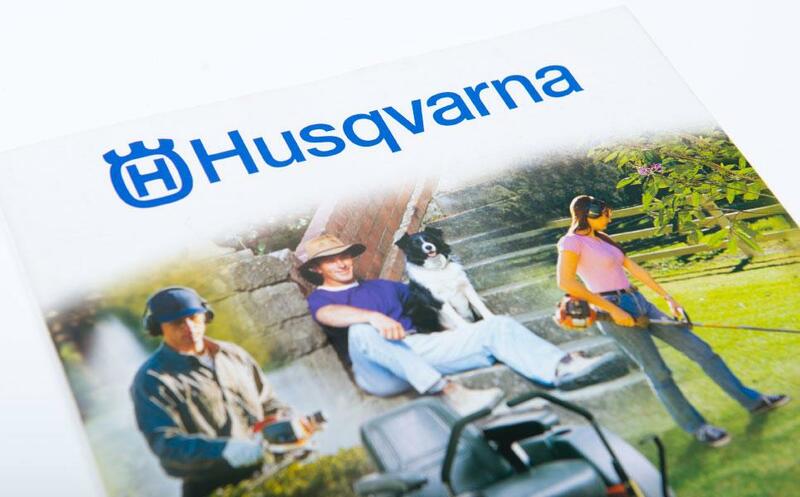 We very much felt that the 'Get the edge' campaign was a testament to the depth and commitment of GBD in the support of the ongoing marketing of the Husqvarna brand. 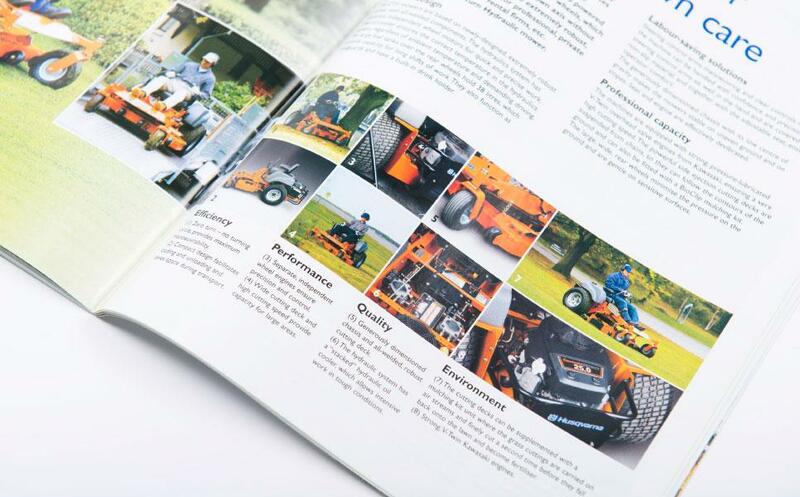 Our catalogue is simply stunning, thanks to the exceptional quality of your photography, design and print. 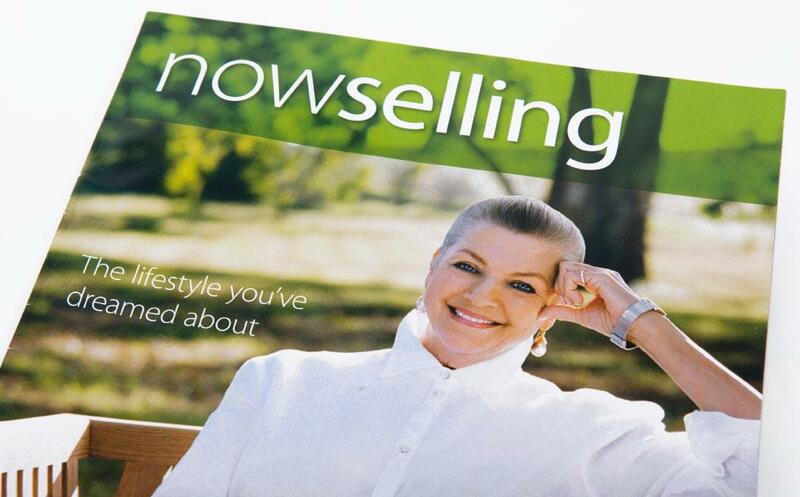 we have noticed a substantial increase in sales since its release. 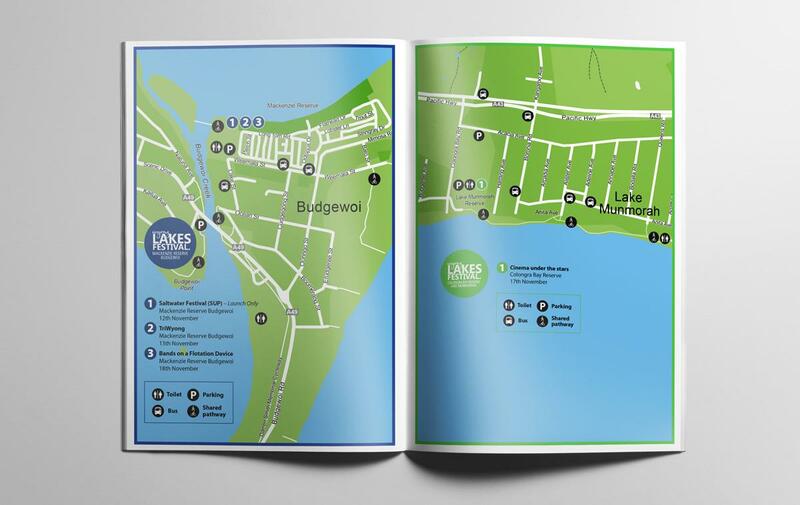 Graphic by Design came up with an exceptional design for our health promotion campaign on the Central Coast. 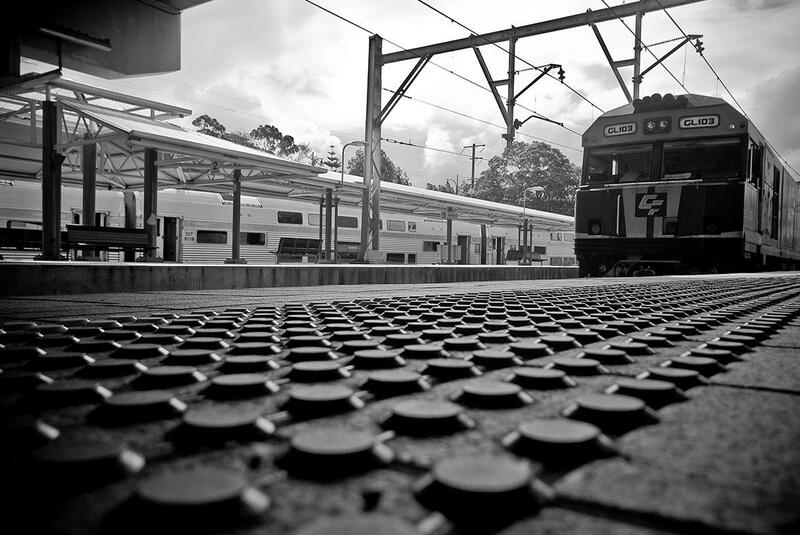 It was a key factor in the success of the campaign as the image was disseminated statewide by NSW Health. 3DX is a satellite-aided excavation company. The logo and stationery designed by GBD incorporates an image of space and the swooping line of a satellite route to help convey the sophisticated scientific technology used for excavation. 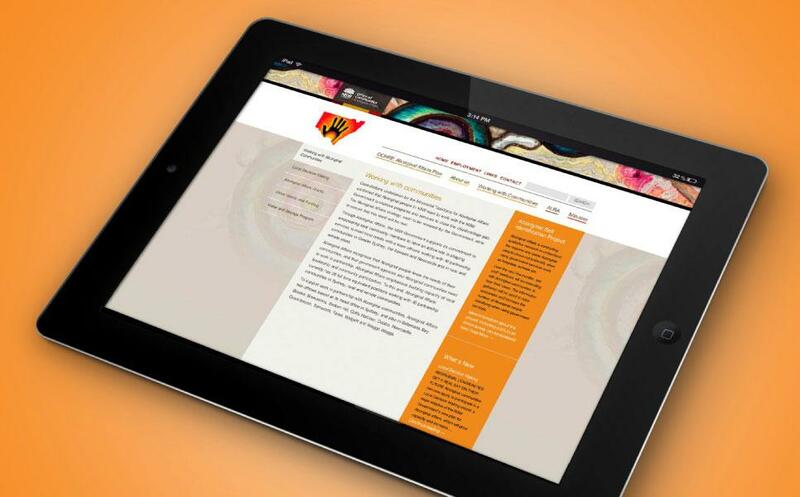 The development of the website for Aboriginal Affairs NSW was commissioned by the New South Wales government. Challenge: The biggest challenge was sifting and disseminating the sheer amount of information provided for easy reading and navigation. 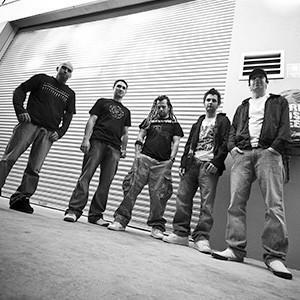 Local Central Coast business Australian Audio Supplies required an edgy, effective logo. GBD designed a simple black silhouette of a sound wave drawn in the shape of Australia. 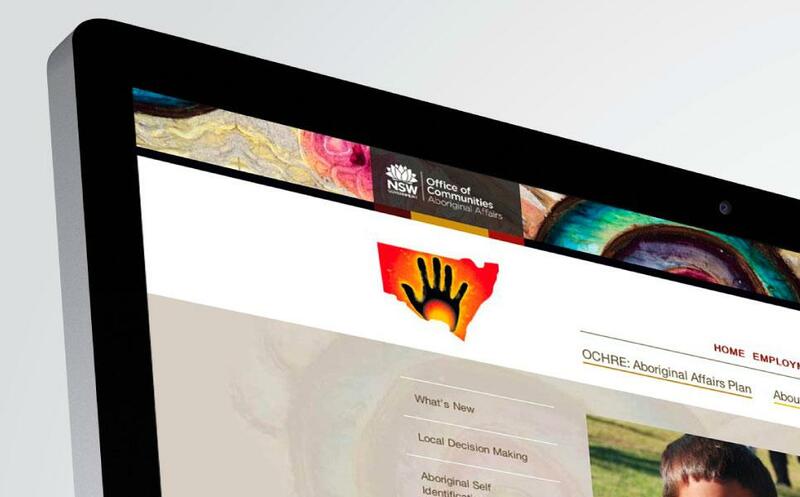 As with most of our work for not-for-profit organisations, ACFID required work with a tight budget and quick turn-around. 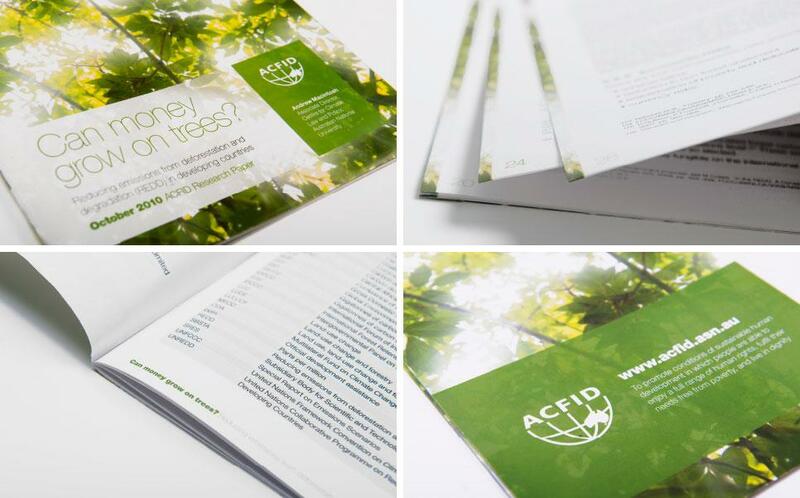 As a humanitarian and foreign aid advocacy group, ACFID required GBD to create an easy-to-read research paper from the information provided. 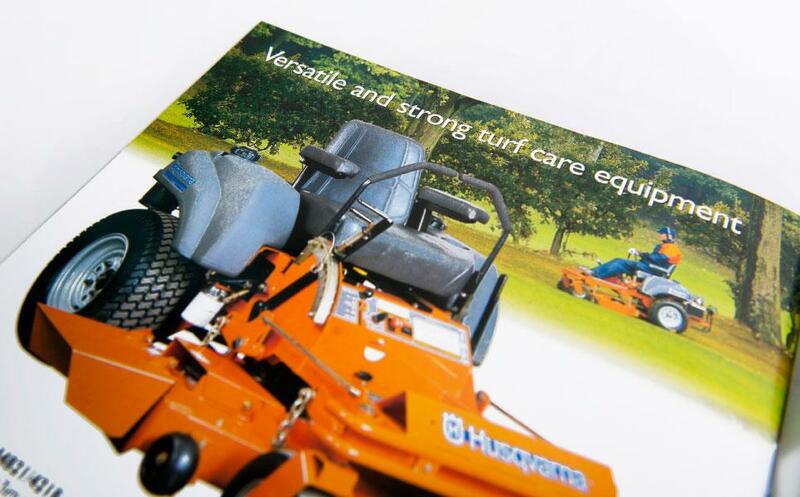 We designed a brochure, sourcing images and typography to create a professional, high-quality paper. 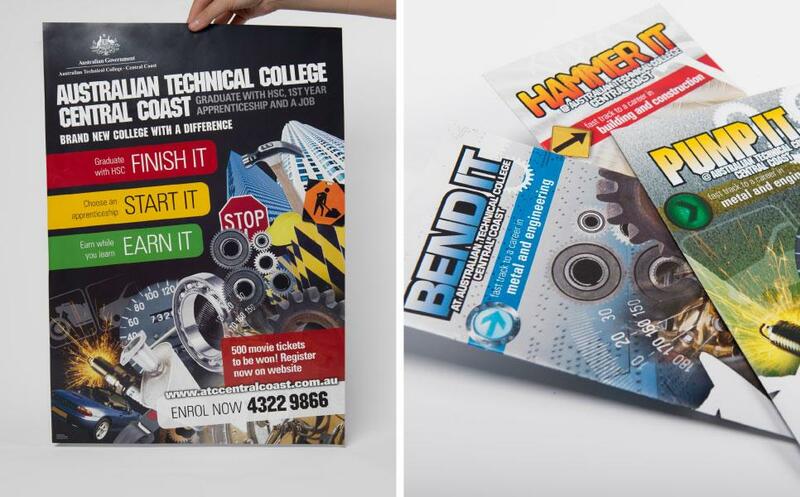 The Australian Technical College provided trade-based training for young Australians looking to complete Years 11 and 12 outside of a high school environment. GBD ran a government-funded youth-based campaign aimed at boosting enrolment. 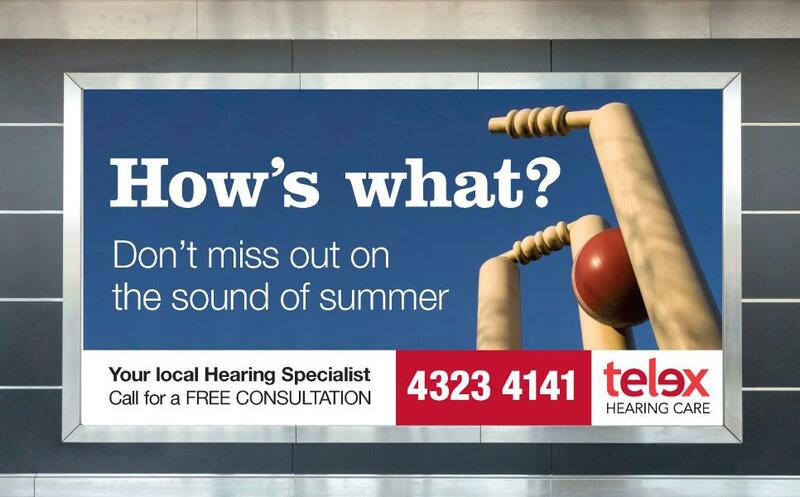 Idea: The print ads made use of bold, bright typography to catch the eye of prospective students. 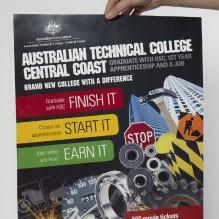 They also featured minimal text and maximum graphics of job possibilities. 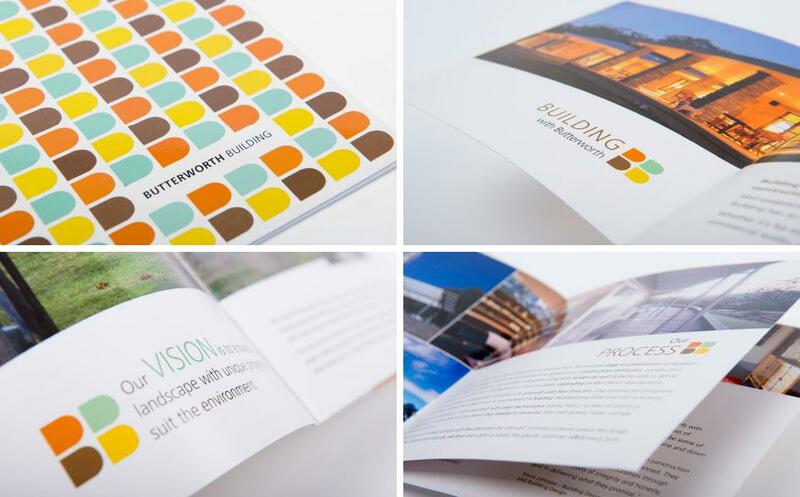 The brochure for Butterworth Building was made to a custom size and design, as a reflection of their own custom-made homes. 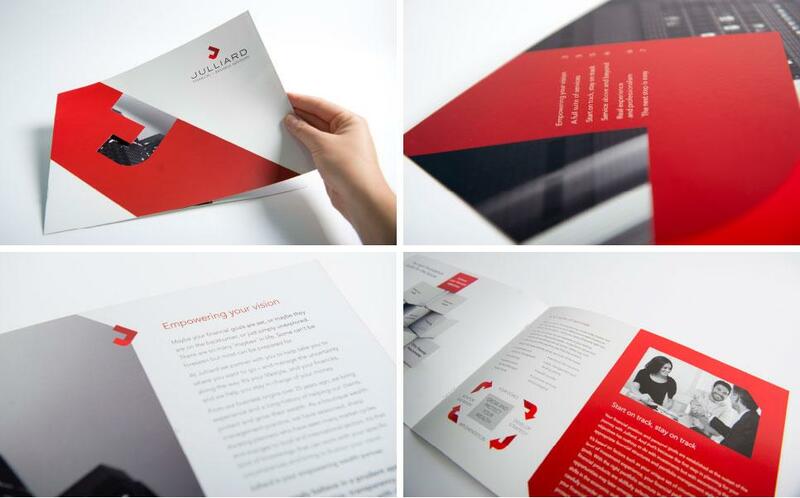 The brochure needed to match the fresh new branding of the company as modern and innovative builders. 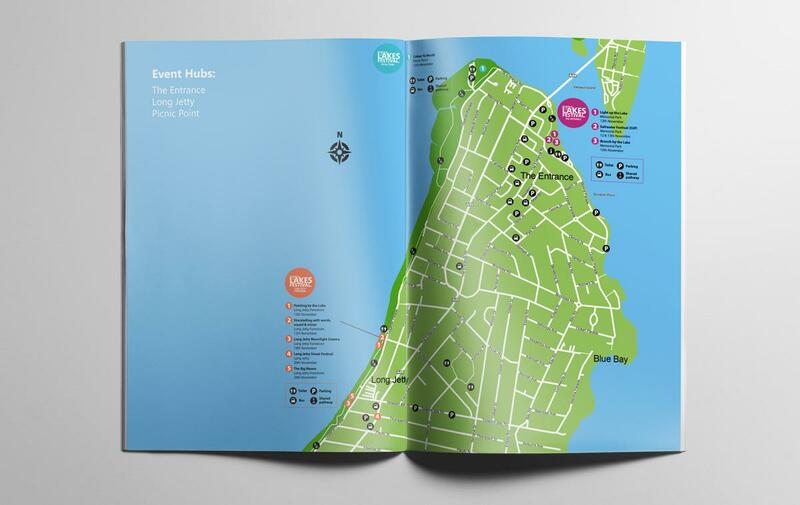 As such the new logo became a recurring motif for the brochure. 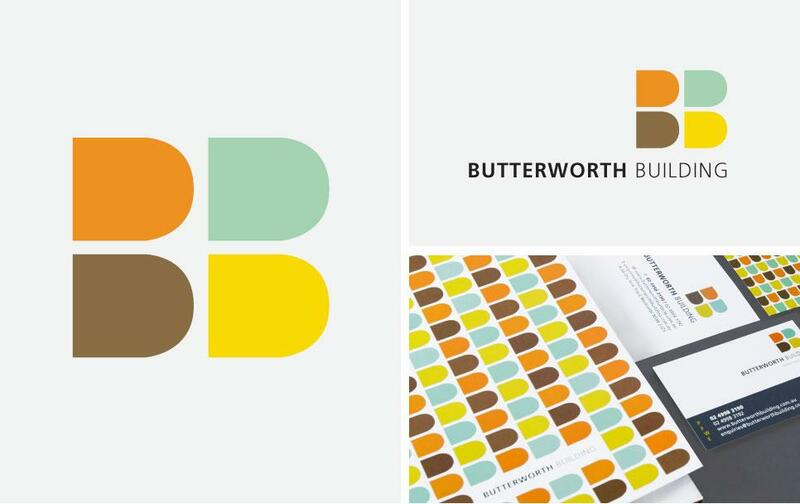 Butterworth Building required a brand refresh for their boutique building company. 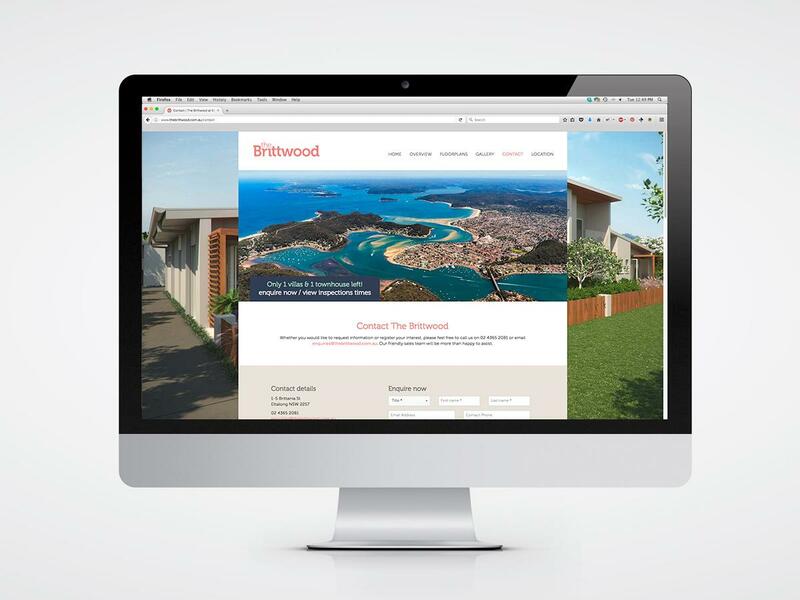 As they specialise in tailor-made, contemporary homes, it was necessary for their branding to reflect this. Idea: The logo began with the idea of building blocks. The four-block design plays on the double ‘B’ of Butterworth Building which, when used in repetition, ‘builds’ an effective pattern. The use of the green and brown colours portrays the concept of environmental design, while the yellow and burnt orange add a sense of drama. 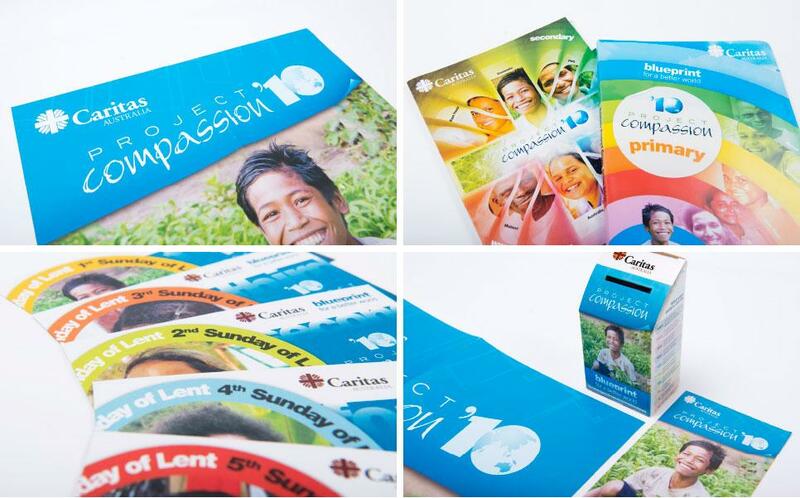 Originally commissioned in 2006 to refresh the design of the Caritas Project Compassion appeal, GBD’s role quickly grew to include the project management, printing, collation and distribution of materials for one of the largest annual fundraisers held across Australia. 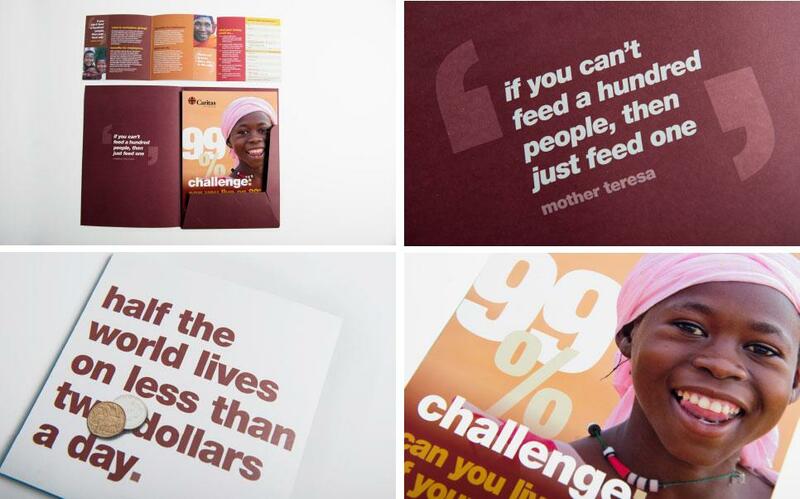 Challenge: The management of Project Compassion required the coordination of 33 individually designed items and over 2 million printed products with 125 shipping locations. Results: GBD introduced low budget efficiencies to ensure smooth operation of the tasks. One of these efficiencies was the creation of shared procedures with Caritas, assembly, warehousing and distribution companies with common target dates for all. 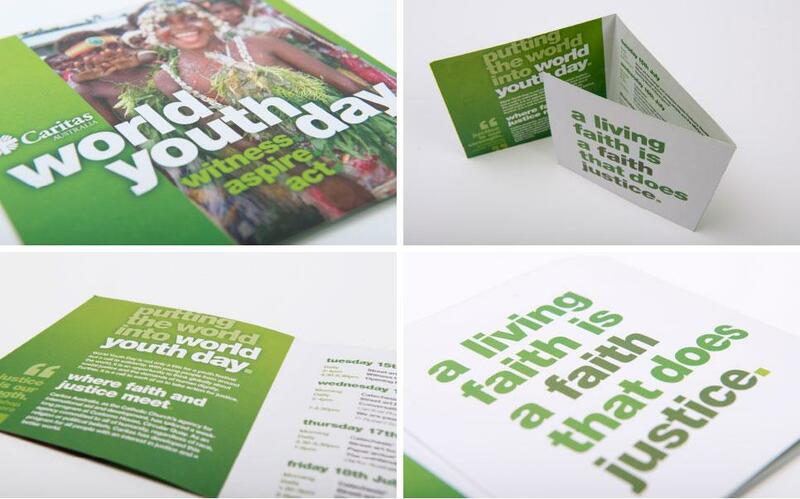 GBD was commissioned by Caritas Australia to design and oversee the print management for their involvement with the historic World Youth Day event in July 2008. 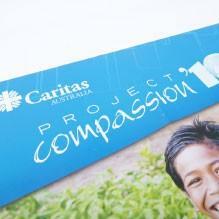 This involved design, printing and shipping of over 360,000 printed materials. 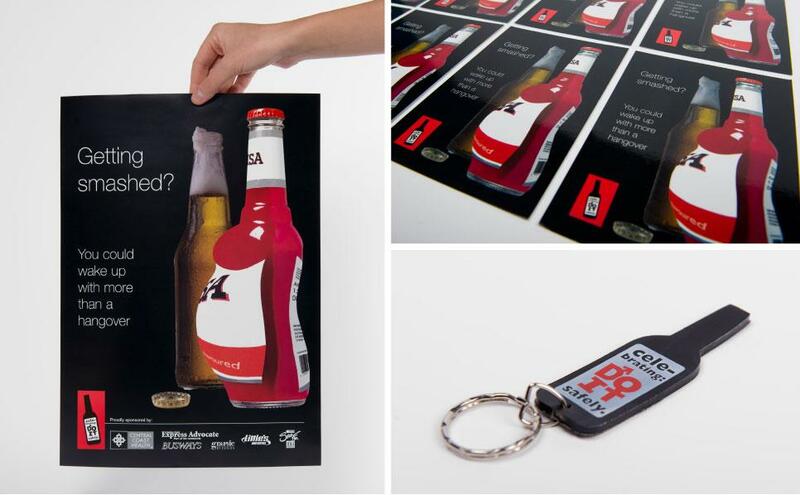 GBD developed a hugely successful campaign for CCAH to help combat binge drinking in adolescents on the Central Coast, designing a print campaign using the shape of a pregnant bottle of alcohol to signify the potential consequences of excessive drinking. We also created a key ring using the same shape. 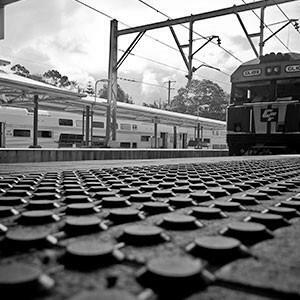 Results: The campaign was so successful that it was adopted by NSW State Health and rolled out across the state. 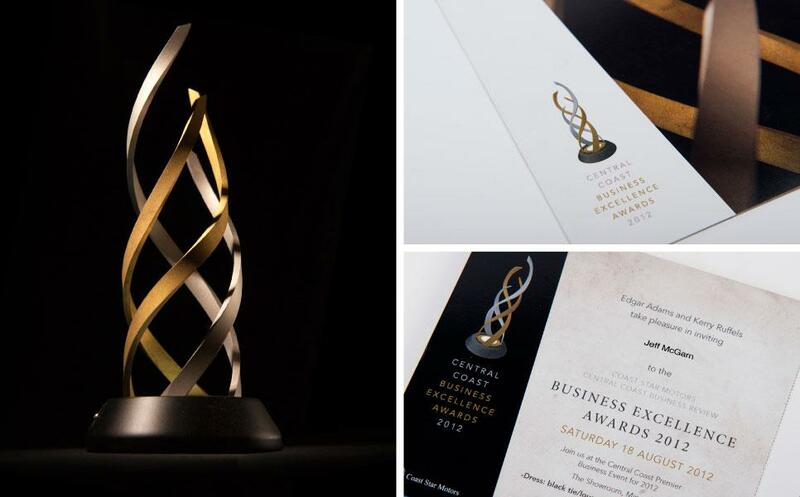 In 2011 CCBEA requested that GBD design and produce a trophy for their inaugural awards ceremony. Idea: To use metal to create three sculptural forms, representing people growing together and forging ahead in business. 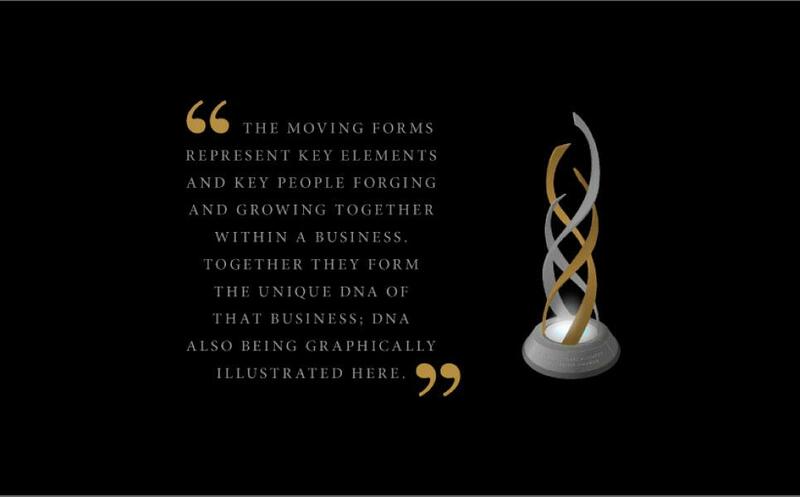 The shapes also simulate the unique DNA of each business. 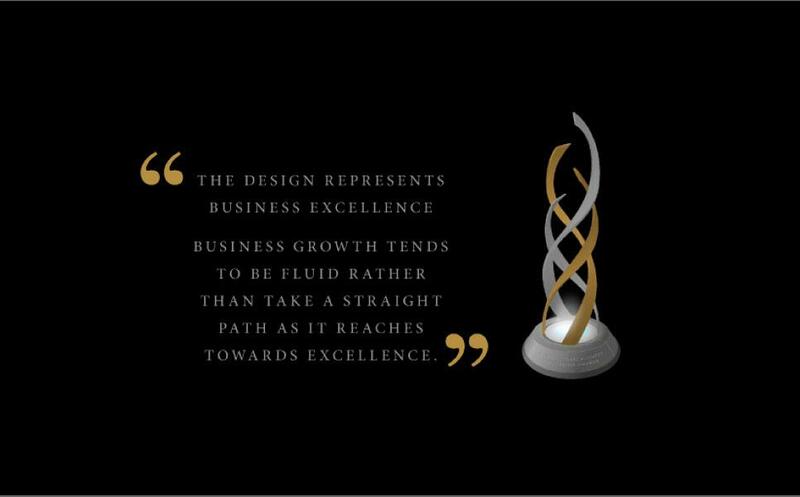 Results: The trophy was well received and recognised internationally as a finalist in the 2012 International A’Design Award & Competition. 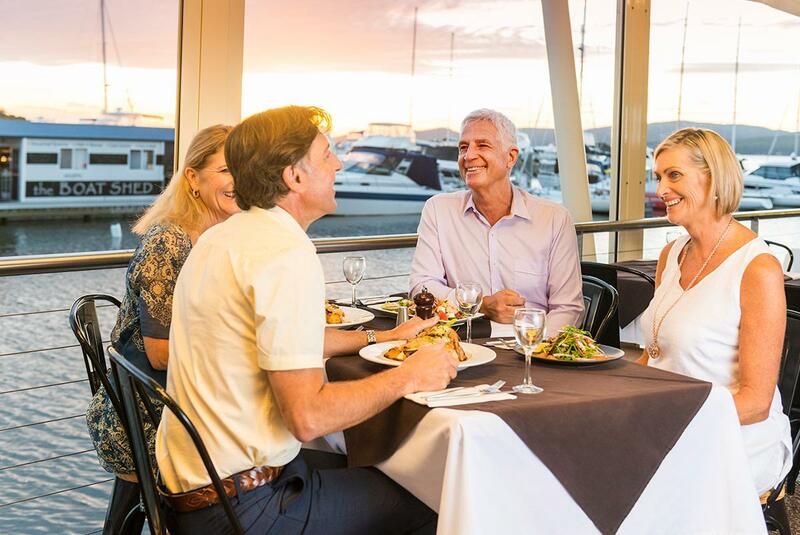 Edgar Adams is widely respected on the Central Coast for his extensive knowledge and expertise about local business. 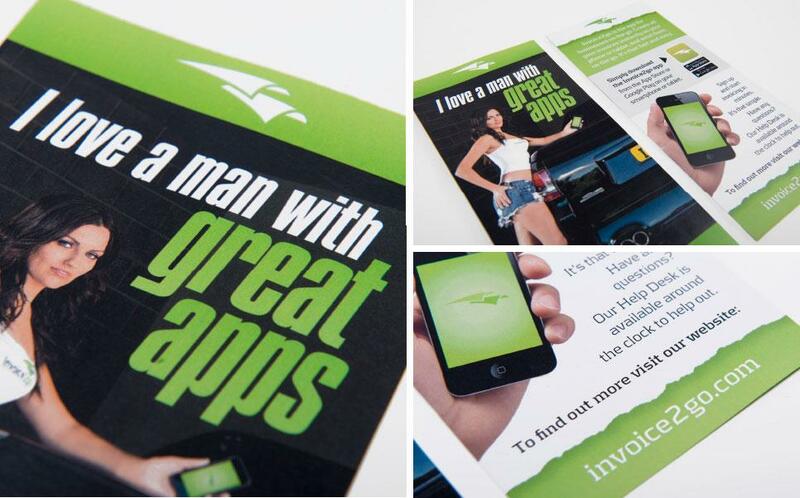 In 2013 he requested a design for both a print and online prospectus for local business investment. Idea: The yellow and blue colours when considered with the curve of the line, are symbolic of the local coastline. The green, white and red in the same shape are emblematic of the National Broadband Network, and symbolic of technology and business advancement. 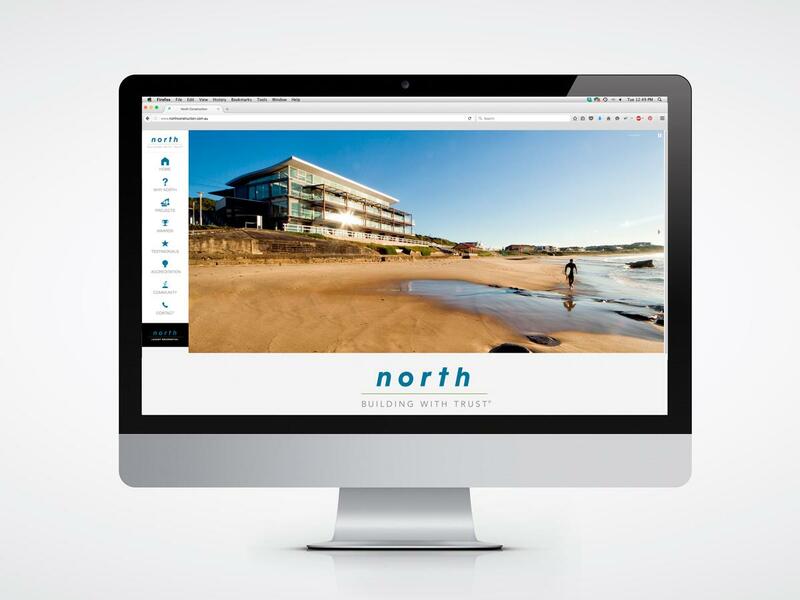 The combination of the two concepts represents the Central Coast as a place where lifestyle and technology meet, of business growth and advancement. GBD assisted CCGS to increase the number of enrolments for Kindergarten 2014 with a series of both print and online advertisements. 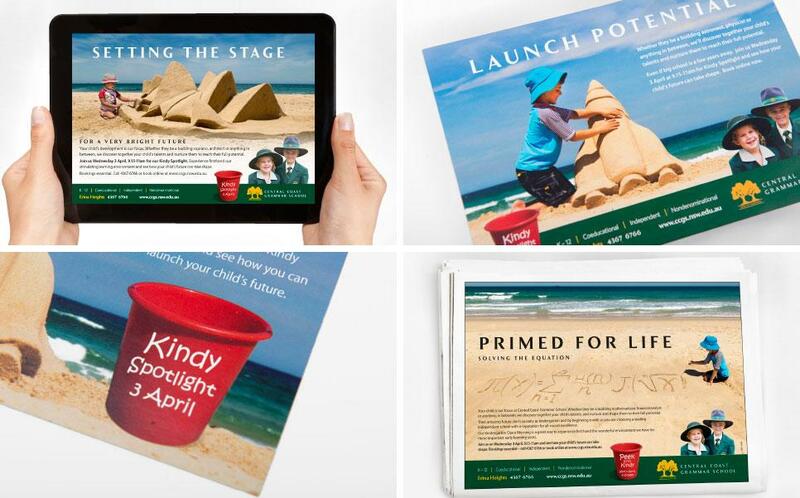 Idea: The print advertisements featured a very young child creating an extraordinary sand sculpture or solving a difficult equation. 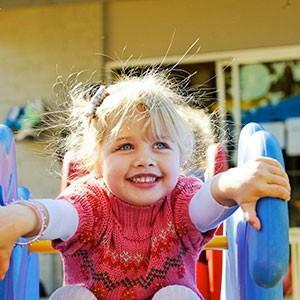 The ads portrayed that CCGS provides the brightest future developing every child’s potential. Results: The Kindergarten Open Day attracted over 120 parents, which was a vast increase on 30 parents from the year before. 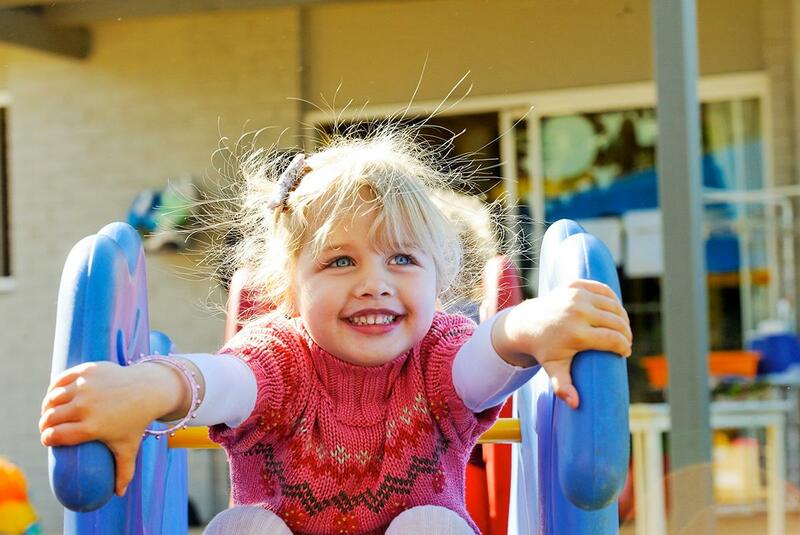 CCGS also received a marketing and communications state industry award for the creativity and success of the ‘Kindy Spotlight’ campaign. 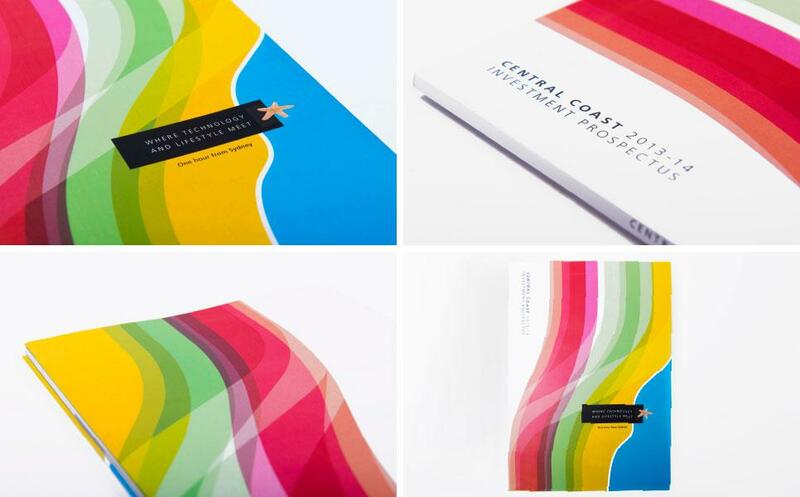 The Central Coast Grammar School commissioned GBD to develop a marketing strategy and design concepts for fundraising for the building of their prestigious Performing Arts Centre. 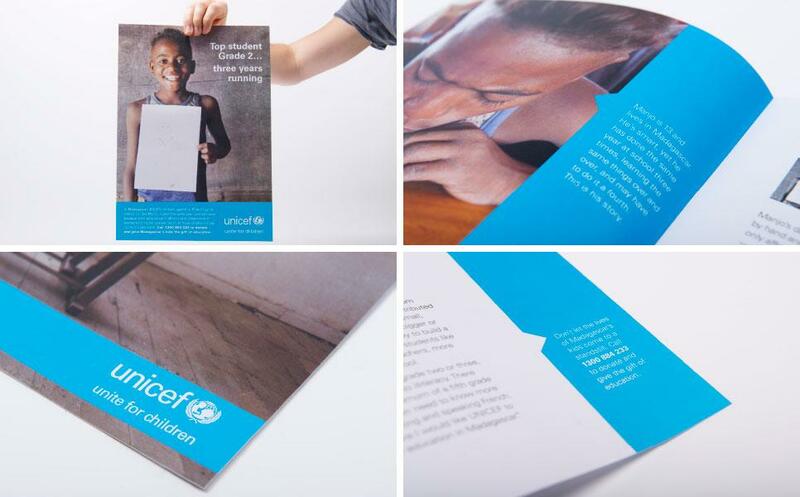 Challenge: For the campaign and designs to appeal to a wide range of ages – from children, to parents, to grandparents. It also needed to reflect the creative, cutting edge nature of the Centre. 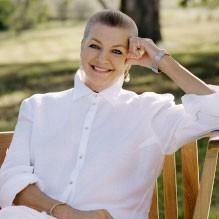 Results: The campaign raised $2 million. 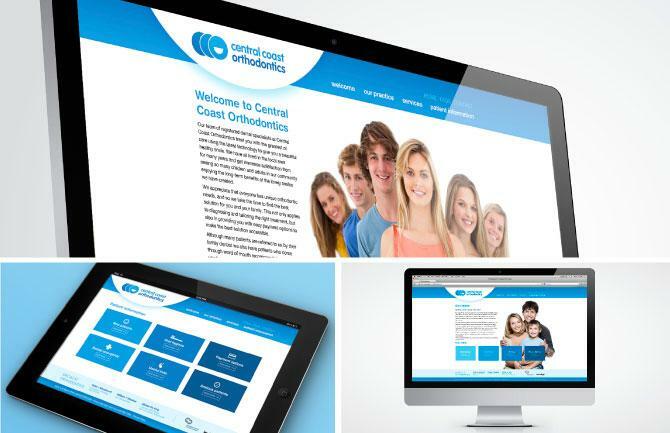 GBD assisted Central Coast Orthodontics with a brand refresh to represent the company as a contemporary, family-friendly service. Challenge: for the branding to be especially appealing to the wider community, as most people tend to associate dental work with negative connotations. Idea: The logo is comprised of two elements. 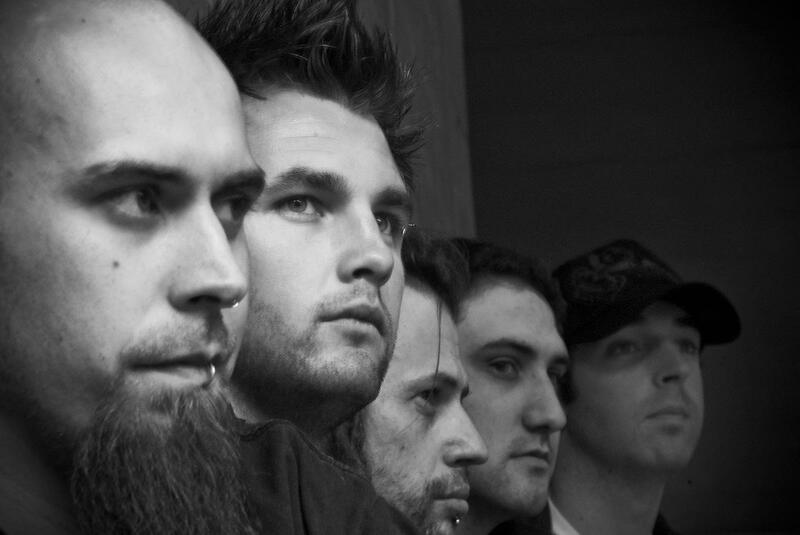 Firstly it depicts a group of people, the foremost smiling as a result of orthodontics. 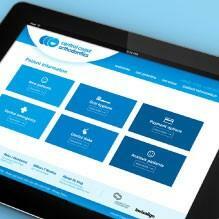 Secondly, the shapes form the initials CCO for Central Coast Orthodontics. 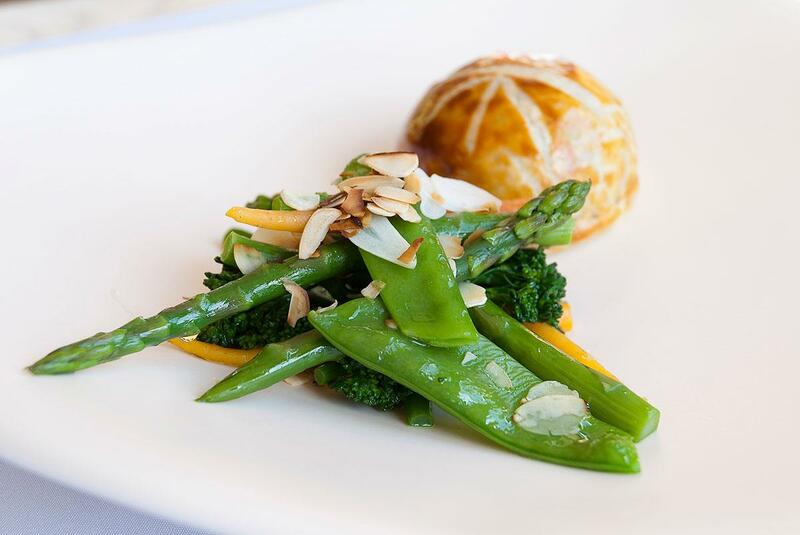 The fresh blue colour palette has been used to communicate positivity, promise and happiness, as well as a clean environment. 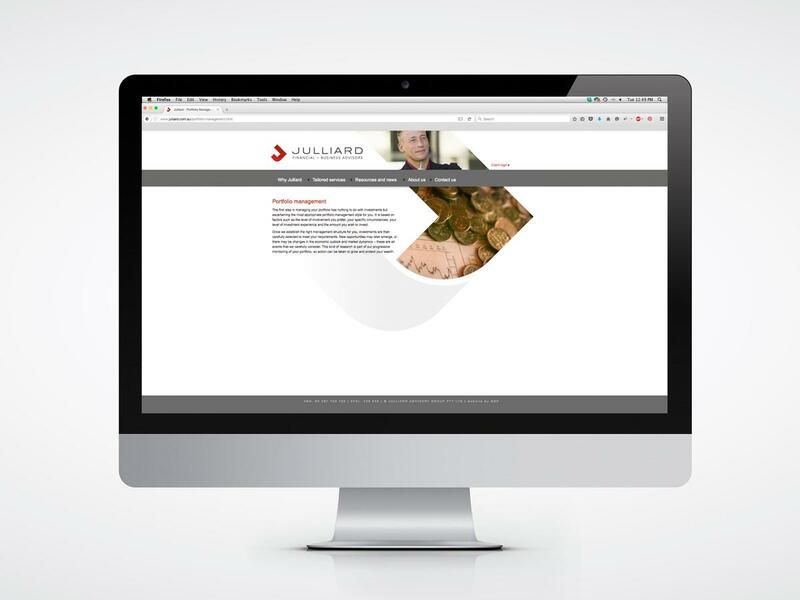 The design of the CCO website complements that of the logo, using the same colour palette, soft, clear shapes and friendly lowercase typography. Like the logo, it also represents cleanliness and sanitation as well as friendliness. 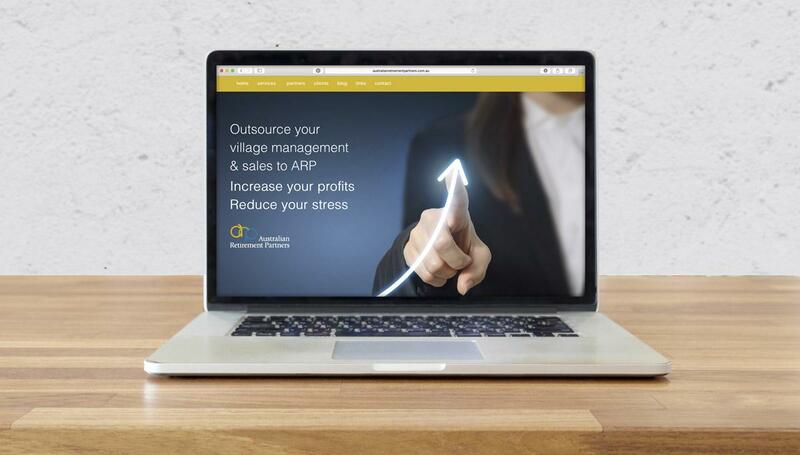 The website is warmed by a large image of a group of young people, all bursting with vitality and happiness, reiterating the people-oriented service. GBD takes on a variety of niche-market projects, one of which was a logo for Choc Txt. This is a mobile phone application that enables users to send chocolate moulds of text as gifts. The logo designed by GBD is a simple but effective representation of this through the use of the gift box, and the speech bubble in place of the letter ‘o’. The idea behind this composition was to use watercolour painting textures to evoke the ‘colouring in the vision’ message. The brushwork is divided into three colours to represent each of the values – yellow for integrity, red for unconditional love and blue for stewardship. The circular shape formed by the brushwork abstractly evokes an eye and the sun, bringing to mind conceptually both vision and light. 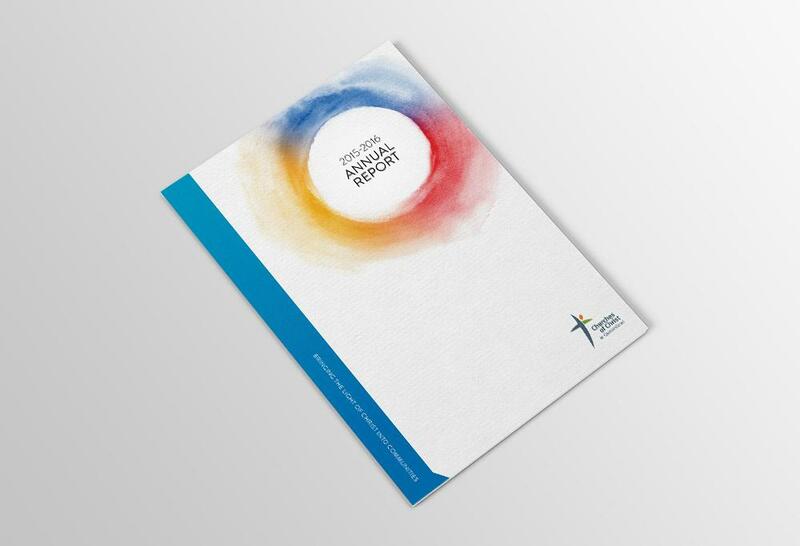 A website version of the Annual Report was also developed. 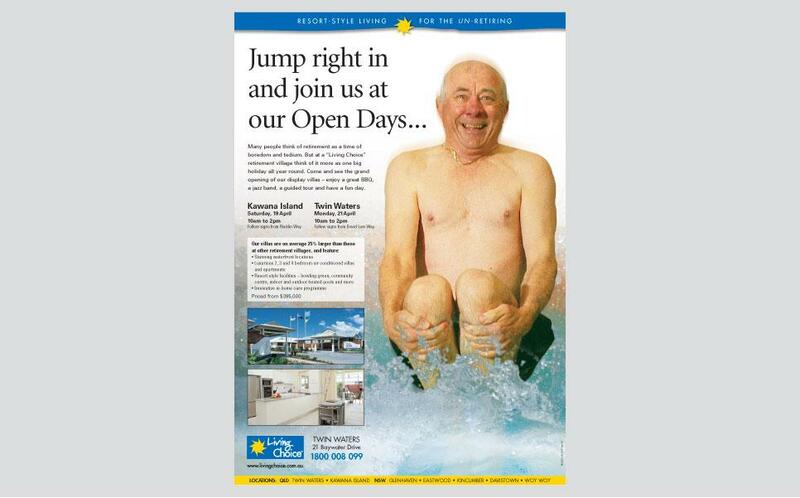 Des Johns is a family-run aquatic fitness club on the Central Coast. GBD designed a new logo for the club, in order to give it a modern, sophisticated feel. 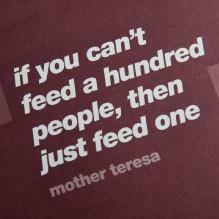 This is conveyed through the simplicity of the design and typography. The two curved blue lines represent both water and the body of a swimmer. GBD’s work for Erina Kindergarten features illustrations of cartoon characters created by our in-house design team. The logo itself is bright, fun and simple with soft shapes and clean lines, representing the kindergarten as a positive, warm and safe environment. 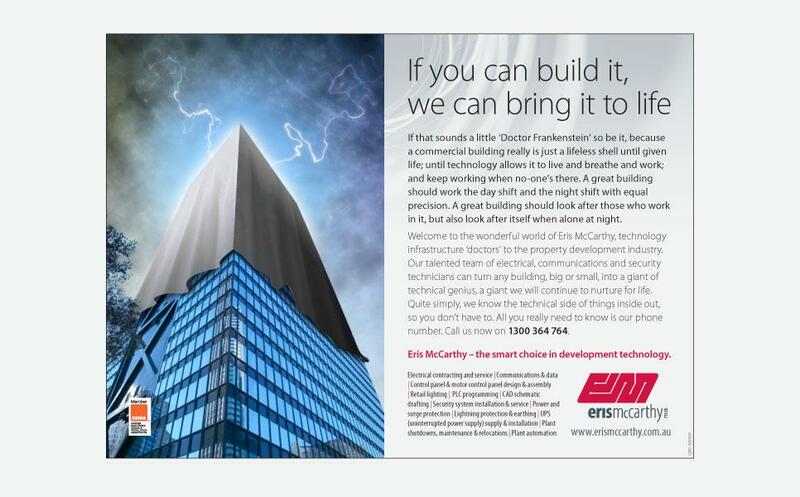 Eris McCarthy provides award-winning specialist electrical services across the eastern seaboard. GBD was commissioned to design a new logo for the business. Idea: GBD designed a logo comprising the stylised letters ‘E’ and ‘M’, and outlined by electrical diodes. 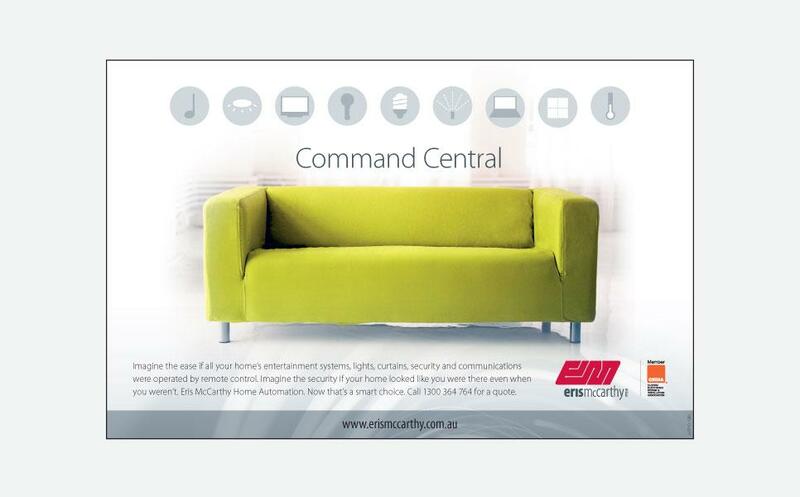 The upmarket font of the name ‘Eris McCarthy’ represents the corporate, high-quality nature of the business. 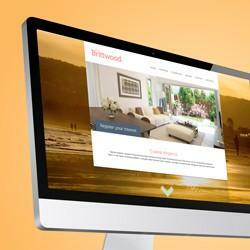 GBD were commissioned to refresh ET Australia's brand ready for their transition to a user-demand model. This included a new corporate logo, logo variations for each of their sub-brands, business cards and website. Personify ET’s brand culture as relevant and contemporary through refreshing the existing brand identity to engage the wider market. 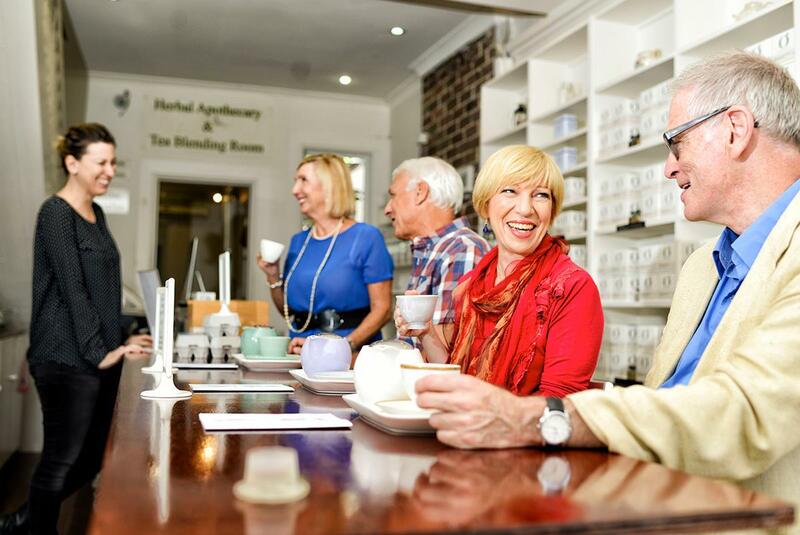 The refreshed brand received positive comments both from ET staff as well as the public. 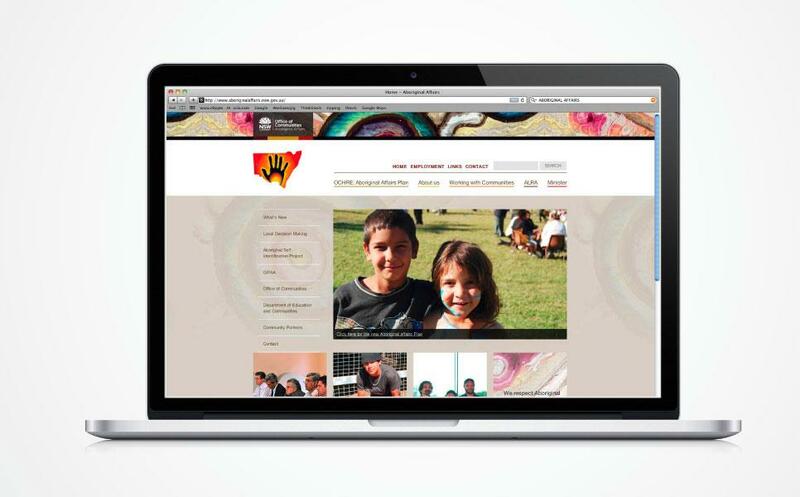 The Board of Directors viewed the re-branding as a valuable and timely activity. 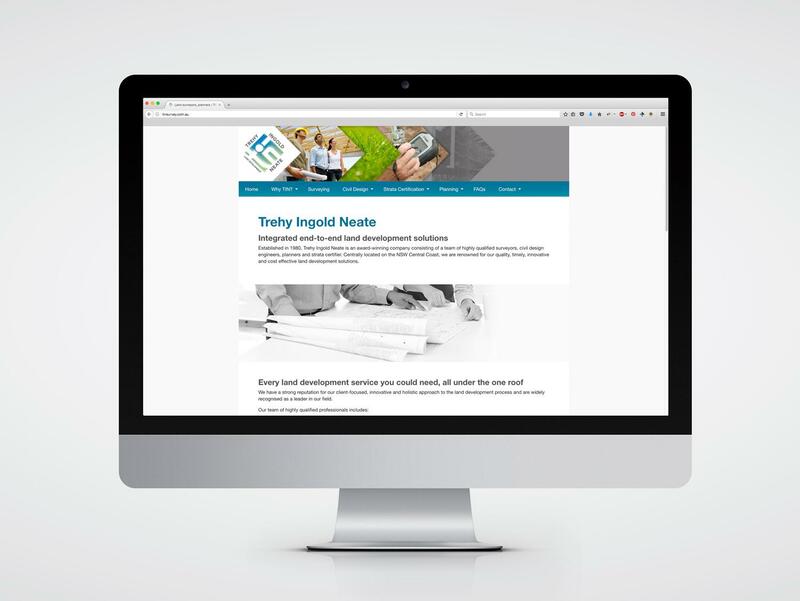 ET Australia is a boutique training organisation offering employment programs, short courses and traineeships for all ages. 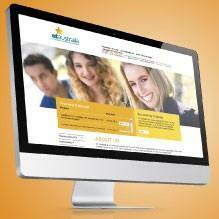 In 2011 ET approached GBD to help boost student enrolment. Research: GBD conducted market research into ET’s existing brand, industry competitors and student profile. 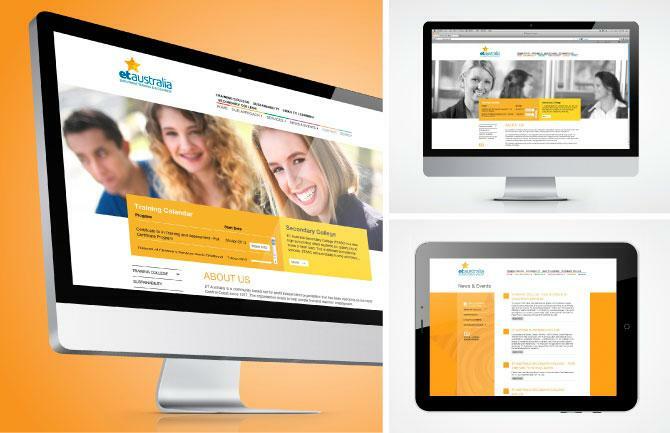 With these results we helped ET refresh their brand identity by creating a new logo and website design. 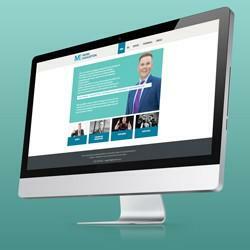 Website challenge: During the brand refresh project for ET Australia a new website was designed and developed. 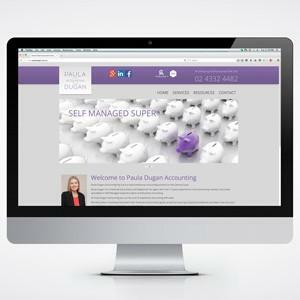 A main challenge was to incorporate the new user-demand model the business was transitioning into, and to include easy-to-manage features such as a training calendar to keep people up to date, and most importantly, to generate enquiries. 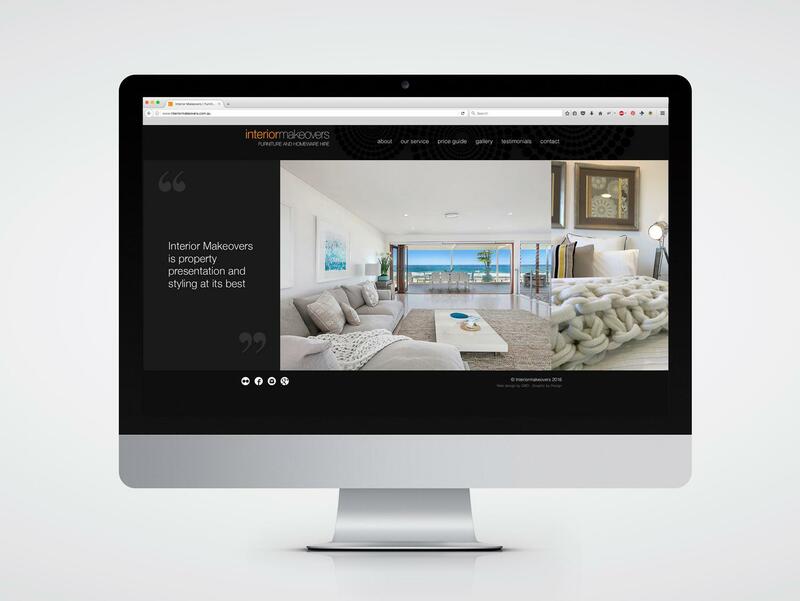 Results: ET Australia’s website experienced higher levels of enquiries after the new web design and branding was launched. 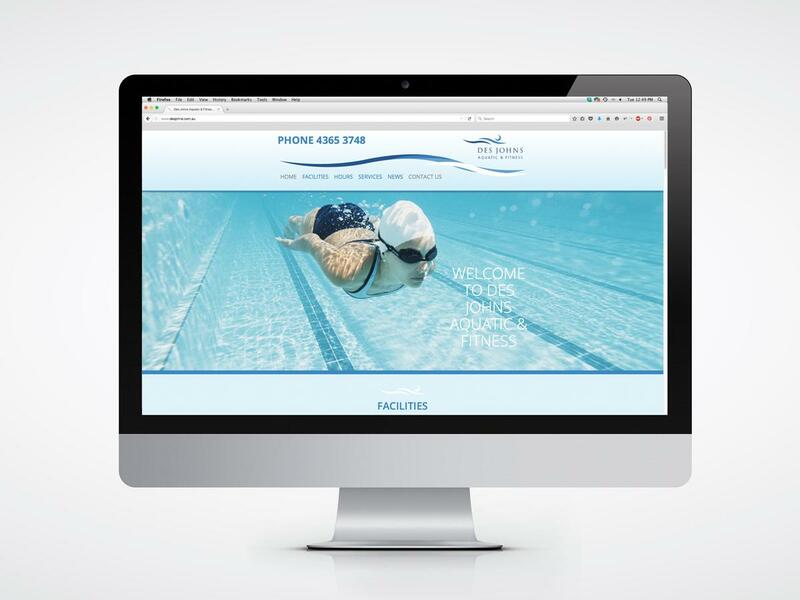 We were in need of a revamp, which included a new website and left it all in their capable hands. GBD continued to listen to our requirements and assist with any hiccups we have – which is great not being techno savvy at all. 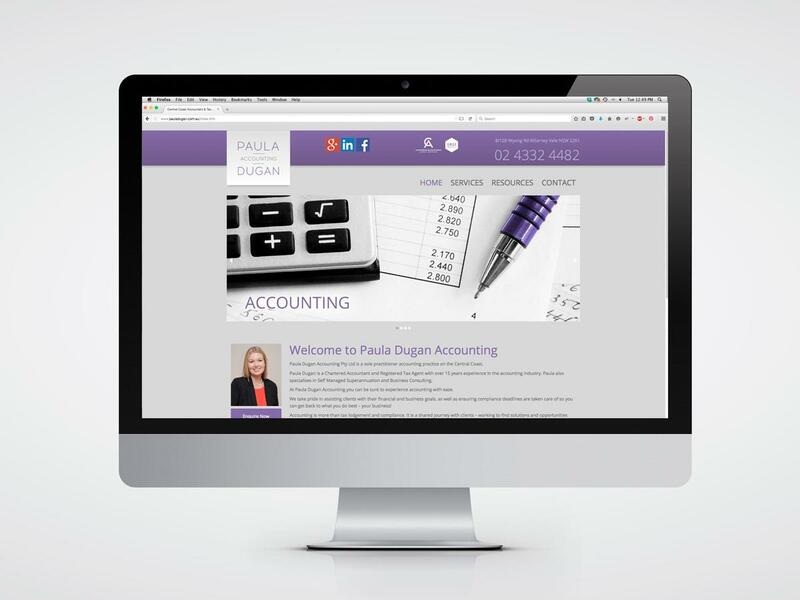 GBD developed the press campaign, print management and logo design for a new mobile phone application allowing small businesses to track and send invoices on the go. 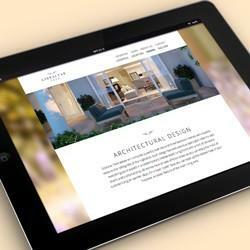 GBD oversaw the marketing of the project from start to finish under the direction of the client. 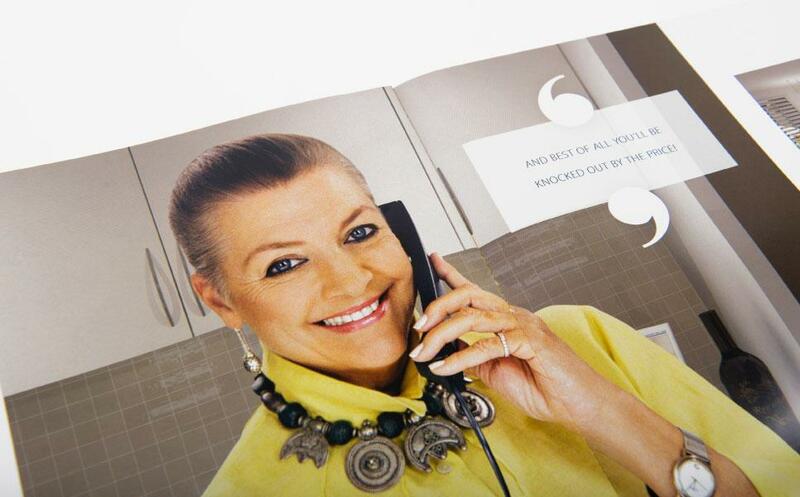 This involved a slightly cheeky campaign aimed at tradesmen and subcontractors using a female model. 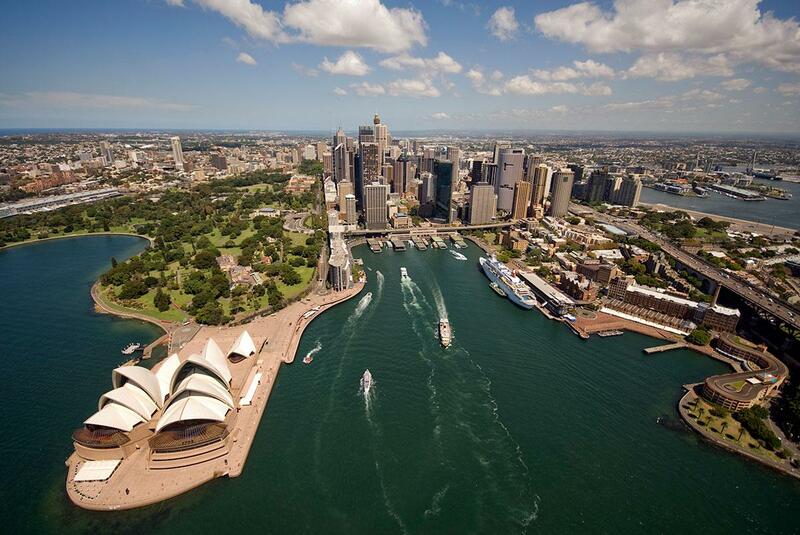 Results: The application has since caught the eye of American investors and is now worth over $112 million. 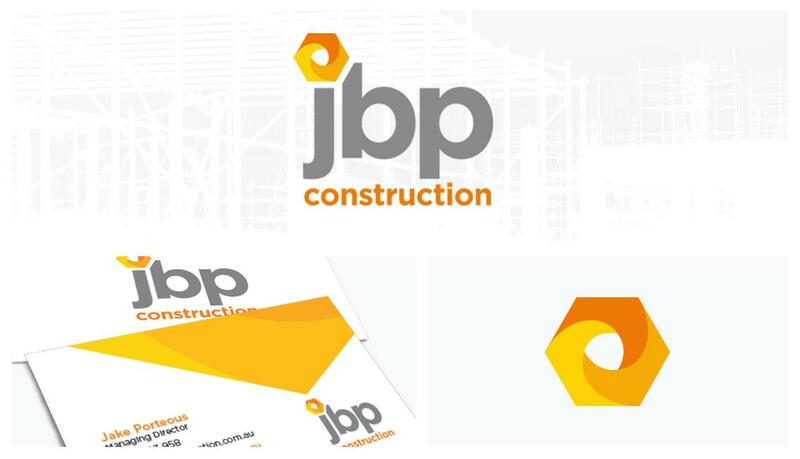 JBP is a nationwide construction and mining company based on the Central Coast. 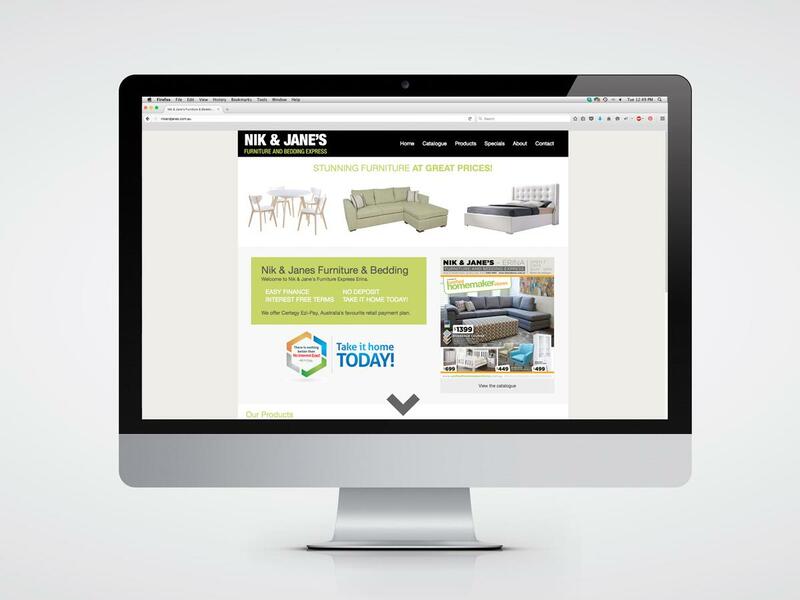 JBP came to GBD with the challenge of refreshing their business branding. 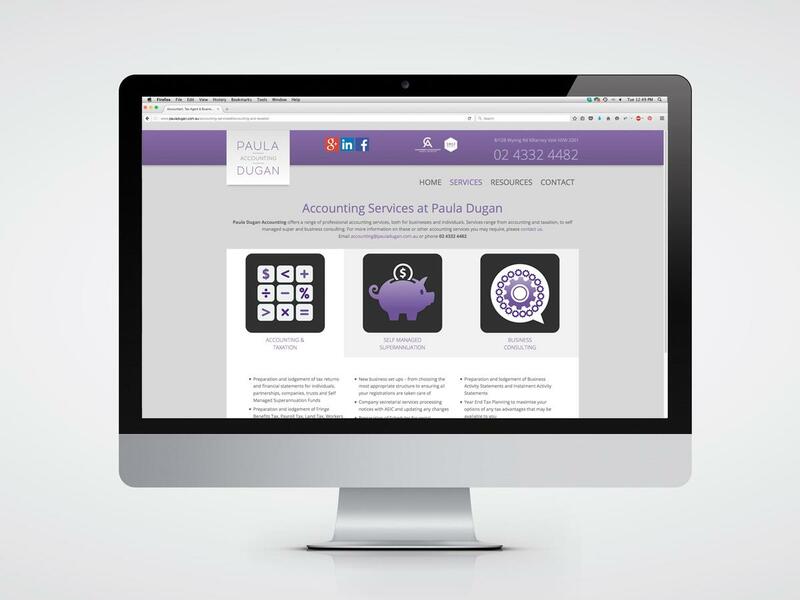 The first part of the challenge was to refresh the business logo with a new modern look and colour palette, while keeping the same design concept as the old logo, with the icon representing a mortal coil. 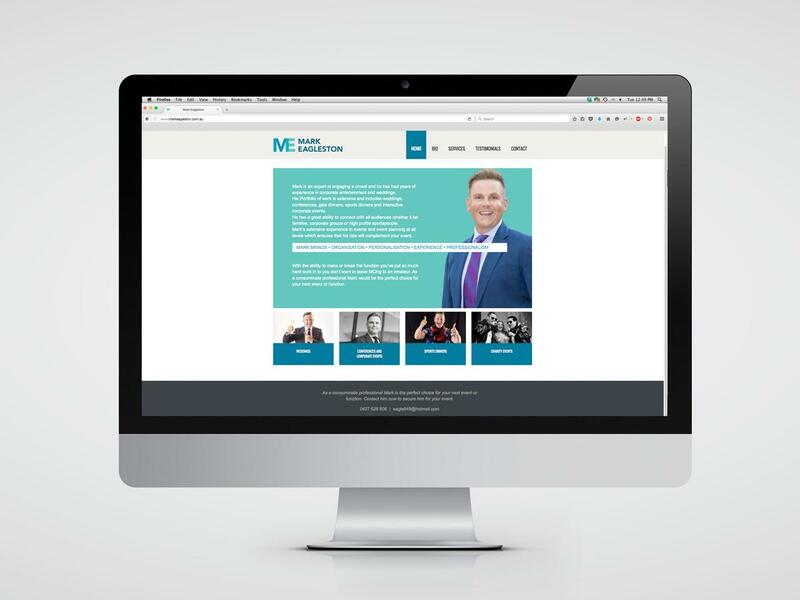 We then incorporated the new logo design and colour palette into the business branding, including stationery, presentation folders, brochure and website. 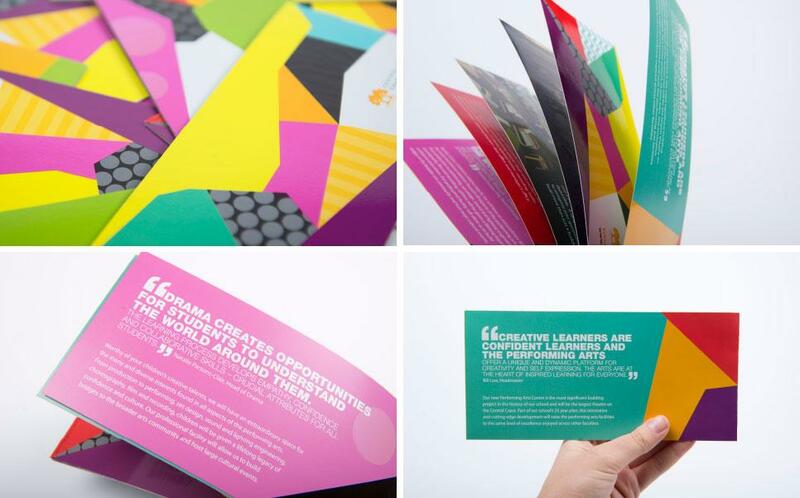 Julliard, a family-run finance advisory business, approached GBD for assistance with their brand development. Idea: GBD developed a sophisticated and unique brand representing a trusted, confident, modern service. The logo itself is minimal, stylish and elegant. It is immediately a ‘J’ shape representing Julliard, and then a directional arrow pointing forward and indicating progression. 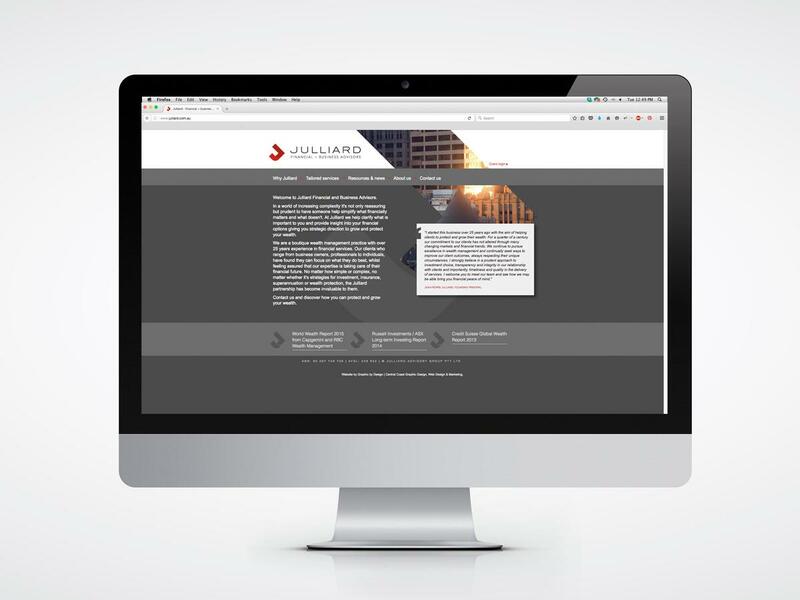 Once the new logo design and brand development was complete, Julliard needed a corporate brochure encapsulating their values and services to their prospective clients. 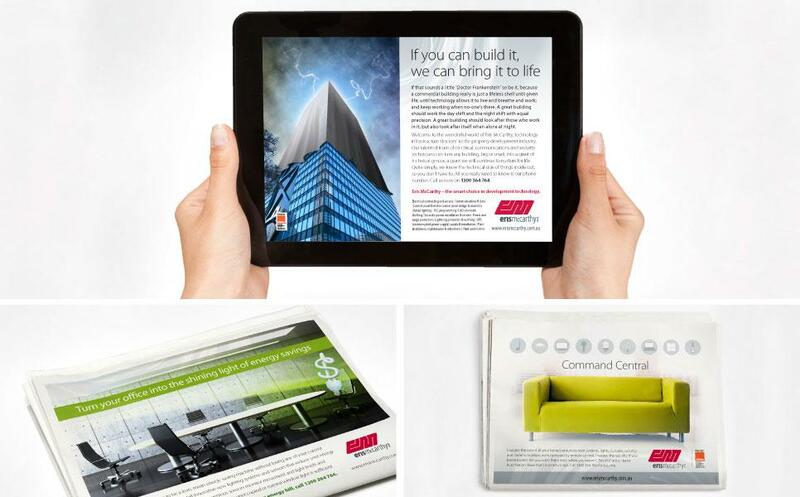 For this project GBD not only designed the brochure but also managed the printing. 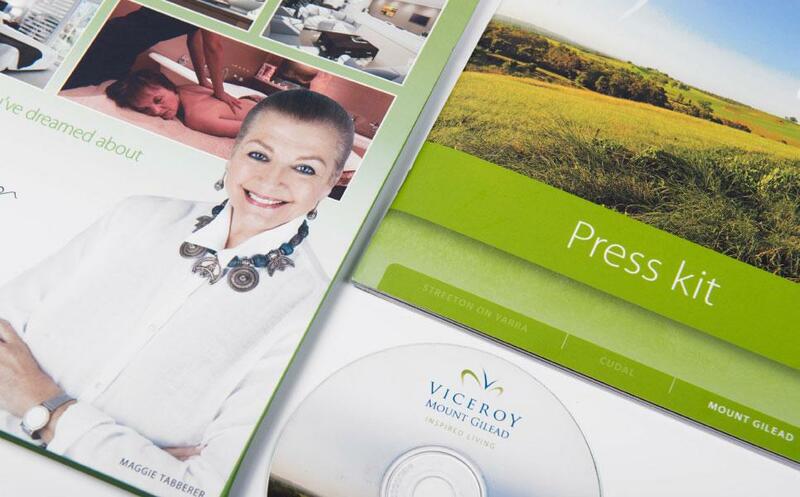 The print management of the brochure included the creation of a custom die cut for the beautiful J-shaped logo on the cover. The ‘Busy Bee’ featuring in the LandscapeLand logo was another one of GBD’s illustrated characters designed especially for advertising. The bee, in close connection with the business name, symbolised the productivity achievable by those who shop at Landscapeland. Commissioned in 2002, the logo for Little’s Surf Centre features a custom-made font with the curved corners on each letter emblematic of the curl of a wave. 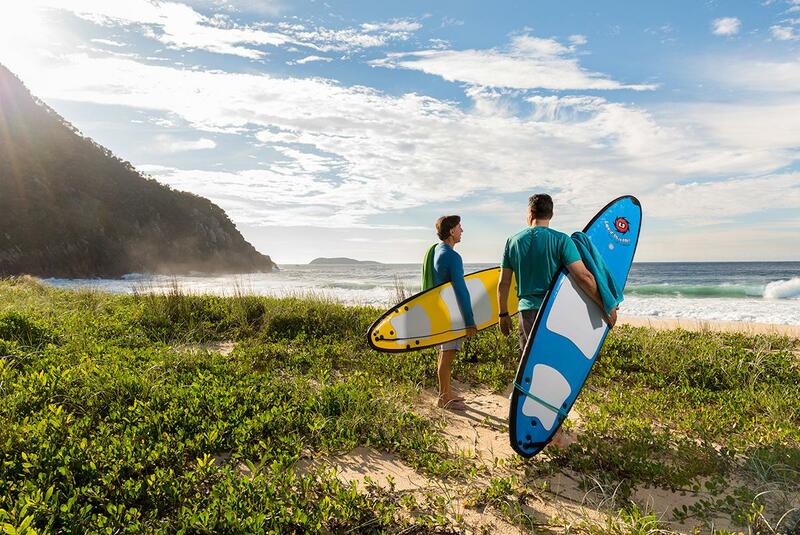 A swooping curve in the background suggests a close connection with surfboards or surfing. 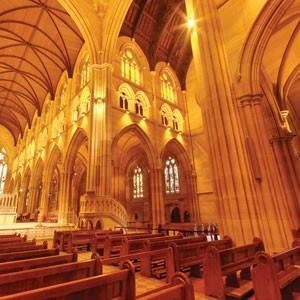 The use of the colours navy blue and pale yellow are representative the sea and sand of the Central Coast. 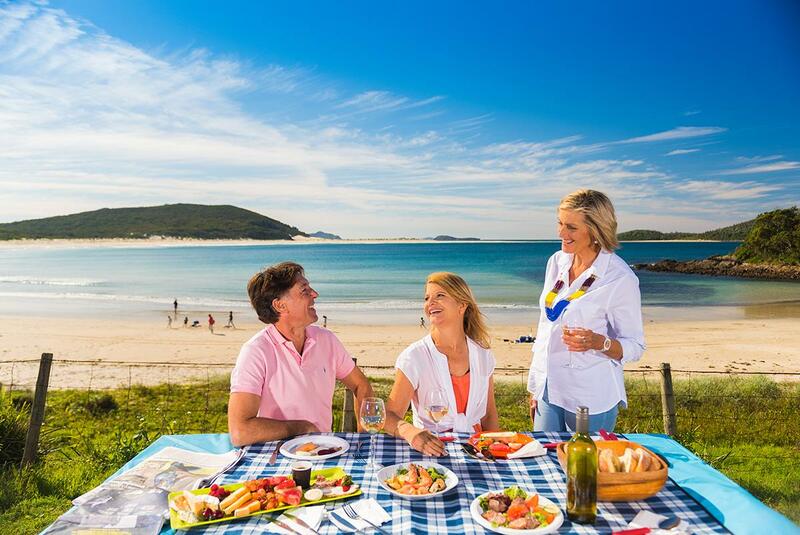 Results: The logo for Little’s has become an icon on the Central Coast, due to the classic nature of the design. 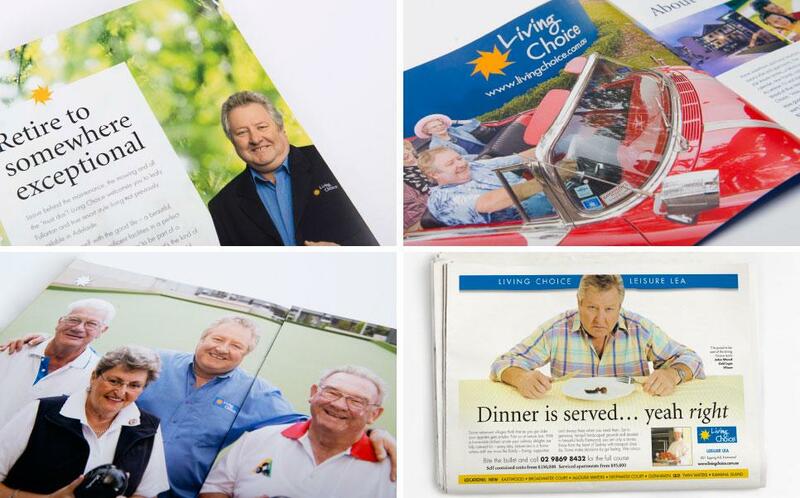 GBD launched the Living Choice brand back in the 90s, and were responsible for the marketing, design and printing of collateral as the company expanded within NSW, and then to Queensland and South Australia. 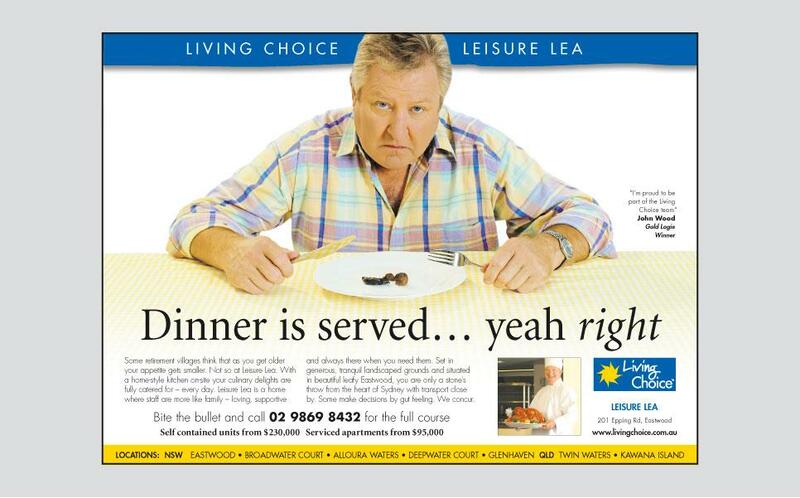 As part of our marketing strategy GBD introduced Gold Logie winner John Wood to be Living Choice brand ambassador. 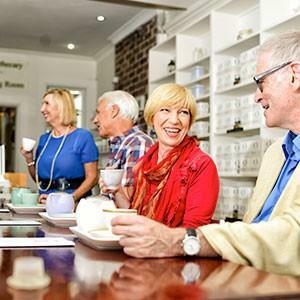 Our leading edge design in the retirement sector led to GBD receiving a Federal Government award for our work in projecting positive imagery of senior Australians. 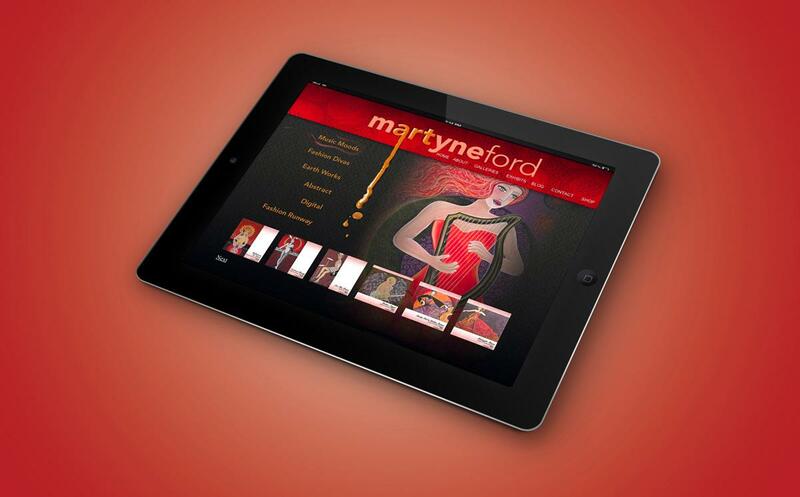 Another one of our community-based projects, GBD designed a website for local artist Martyne Ford. 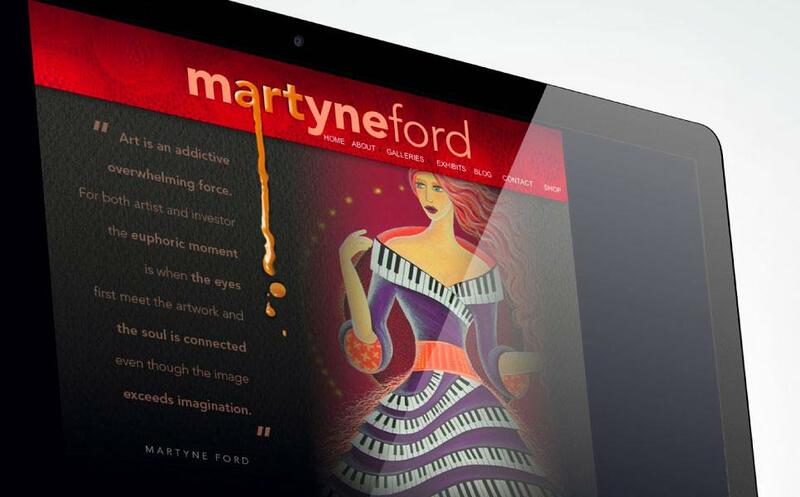 We worked closely with Martyne to ensure the website reflected her vision for the portrayal of her work. “I love it,” she says. In 2009 GBD won the contract for a national campaign with the largest animal pharmaceutical company in the world, Intervet Schering Plough. Challenge: GBD was commissioned to advertise a prescription-only medicine for dogs without mentioning the drug in the advertisement. 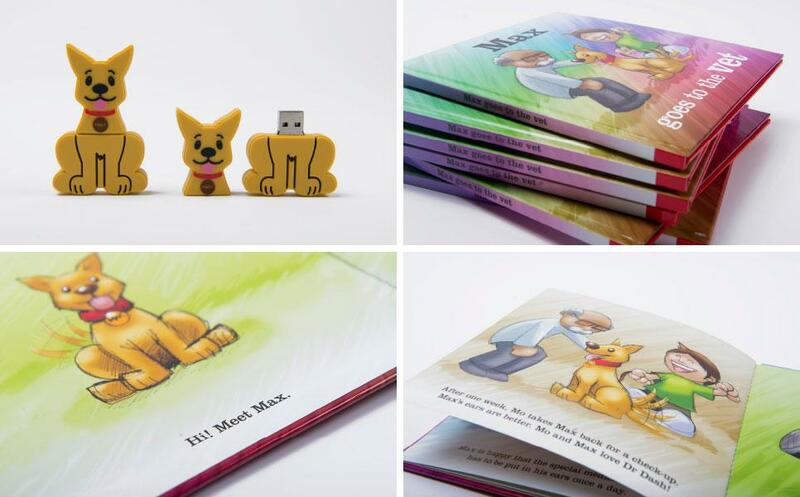 Solution: The solution was a kid’s storybook for use in veterinary waiting rooms with two characters whose names, Mo and Max, reference the name of the product. 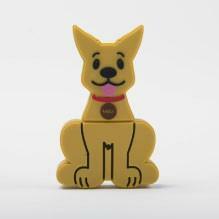 GBD also designed a customised USB stick in the shape of a dog which contained a digital invitation to the launch event. 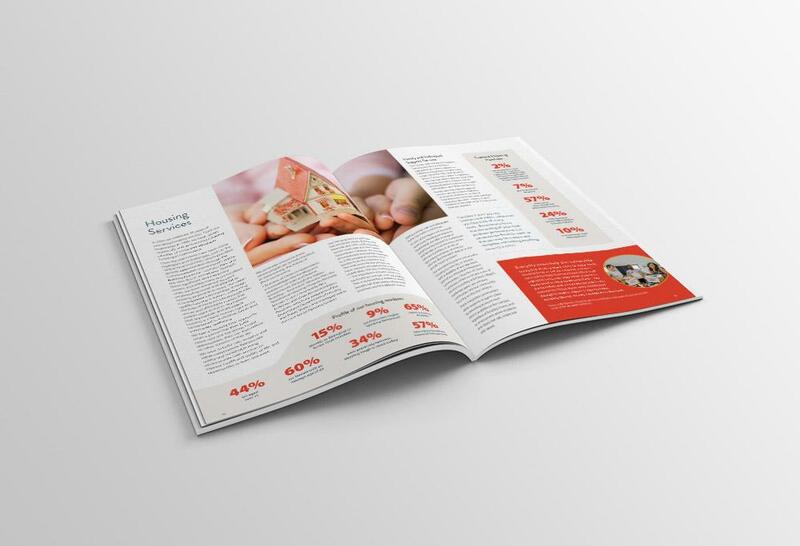 Results: The marketing campaign generated a level of response activity that greatly exceeded the client’s expectations. Additional copies of the book were requested by veterinary practices across Australia and the GBD rights were sold to Intervet Schering Plough’s headquarters in the Netherlands for international distribution. 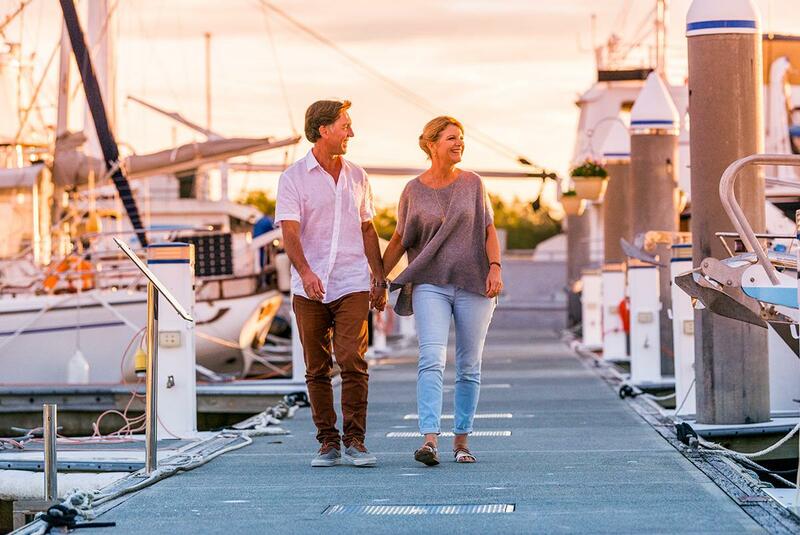 Reliance approached GBD as a new medical practice particularly wanting to partner with local business and the community. 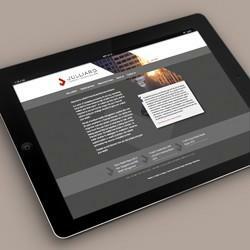 We provided a fresh, modern logo, plus branding and a website. Idea: The logo itself was designed to work on a variety of levels with the repetition of the circle-shape emblematic of reliability and trust. The abstract bird’s-eye view of the orange figure with arms wide open conveys a warm welcome to every member of the public. The simple and lowercase ‘reliance’ adds a friendly, approachable element to the brand identity. 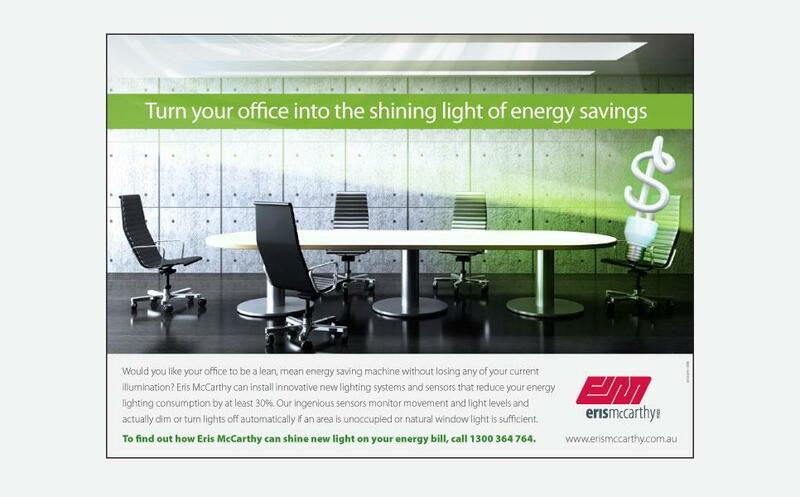 Sanctuary is an energy company with a focus on selling renewable, clean and green energy. We designed a logo incorporating the company initials, with the icon itself emblematic of both a tree leaf and a power-grid. 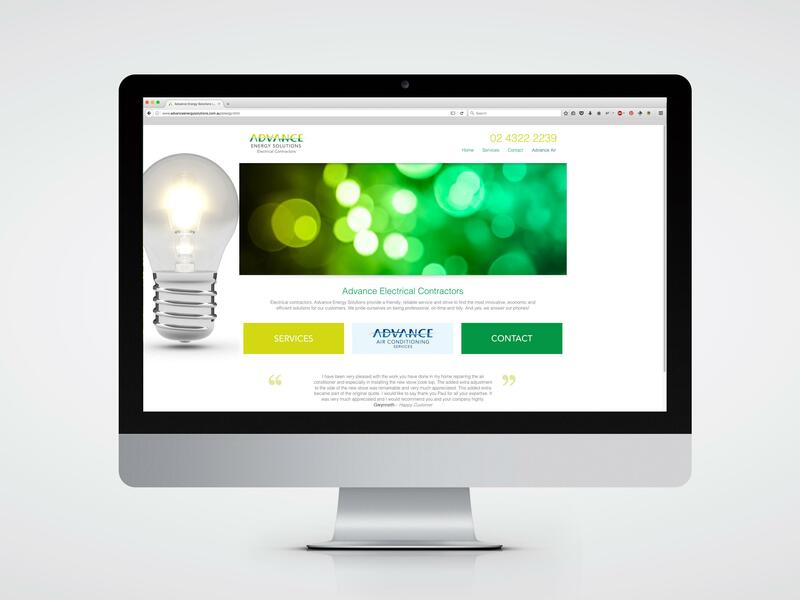 The use of several different shades of green reiterate the company’s environmentally friendly ethos, as does the clean, elegant typography. 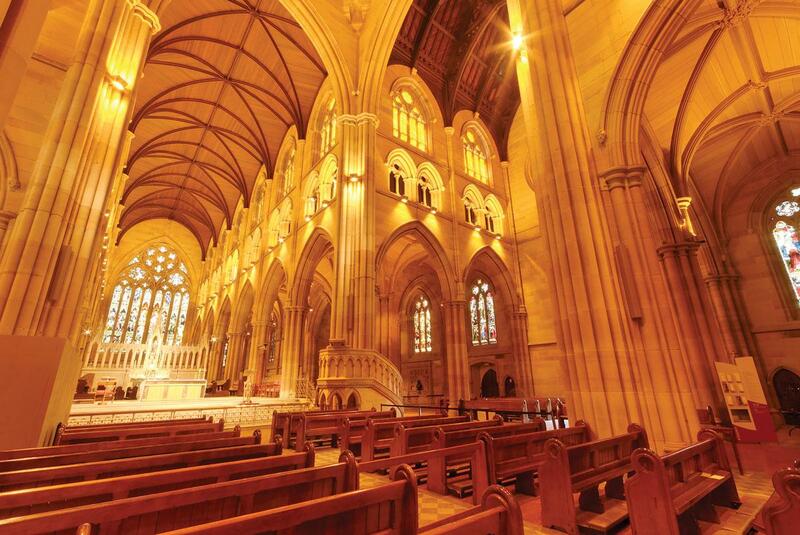 GBD Managing Director Jeff McGarn was selected by St Mary’s Cathedral Sydney as one of the official photographers of the World Youth Day event. The event lasted five days and involved over one million people. 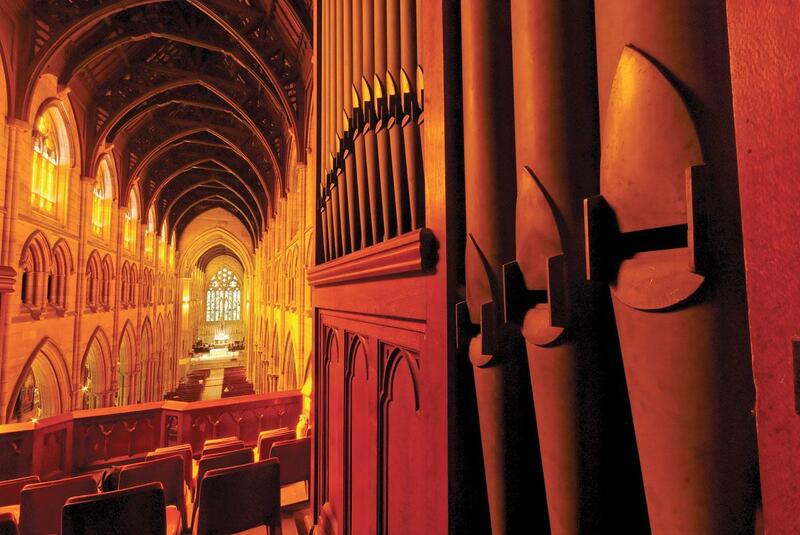 Jeff’s photos were used to create a calendar, which was then gifted to the Pope at the time, Pope Benedict XVI. 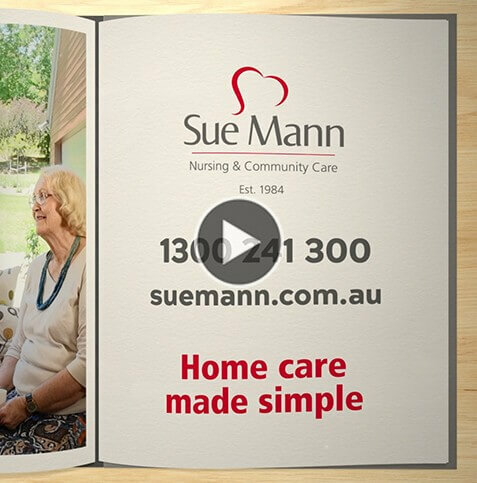 For over 30 years Sue Mann has been operating a family-run business on the Central Coast, providing specialist in-home nursing and care services. 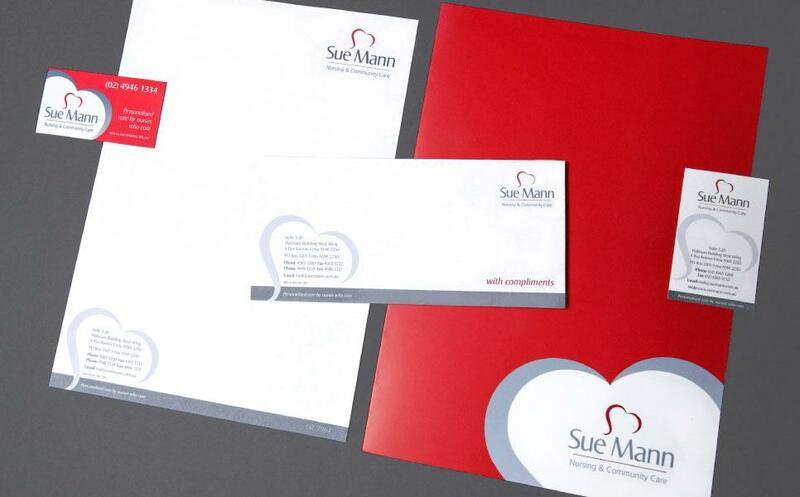 The Sue Mann logo depicts the organisation’s ethos of care through a heart shape, which is also formed from the Sue Mann initials. 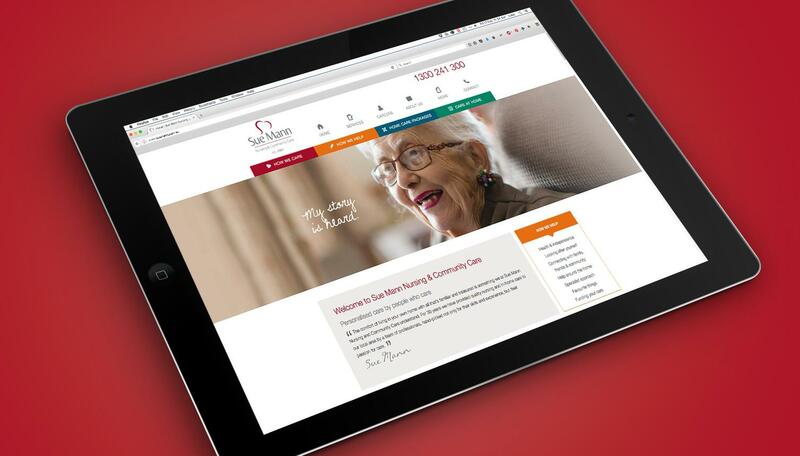 It sits above bold, sophisticated and corporate-style typography, reflective of the now largest in-home community care provider on the Central Coast. 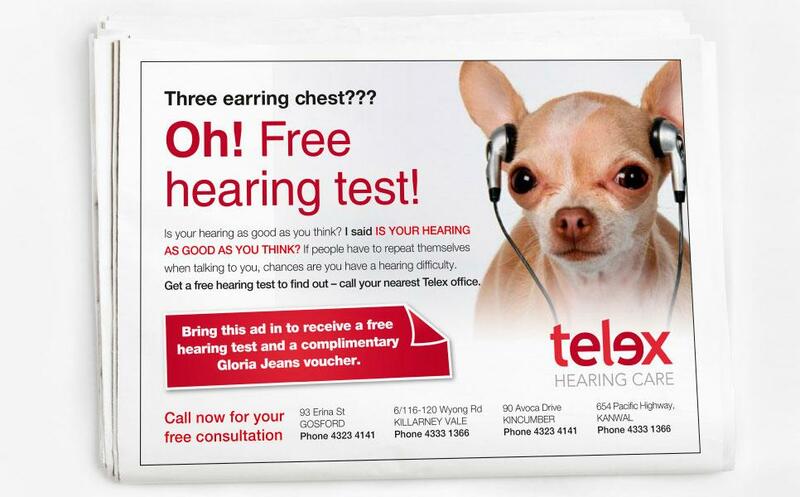 Telex has been operating a family-run hearing care business on the Central Coast for over 30 years. They approached GBD wanting to update their brand. Idea: GBD designed a new logo with bold, eye-catching colour and the two letter Es facing each other, to personify two faces speaking to each other. 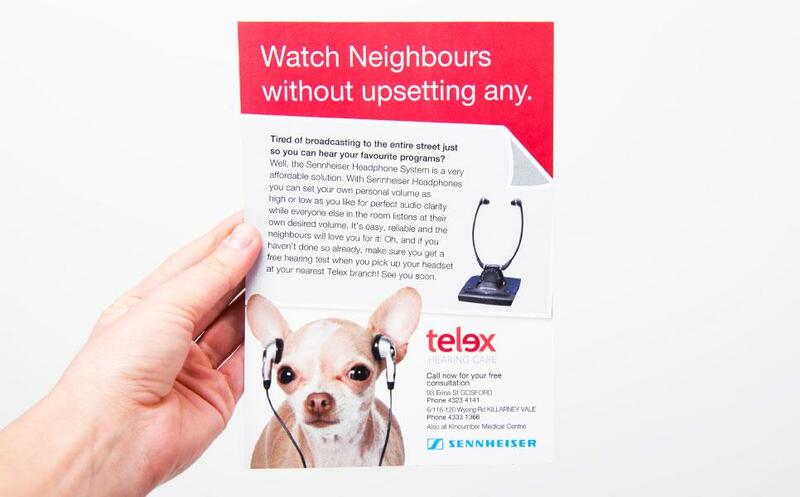 The logo represents strengthened communication provided through Telex Hearing Care. 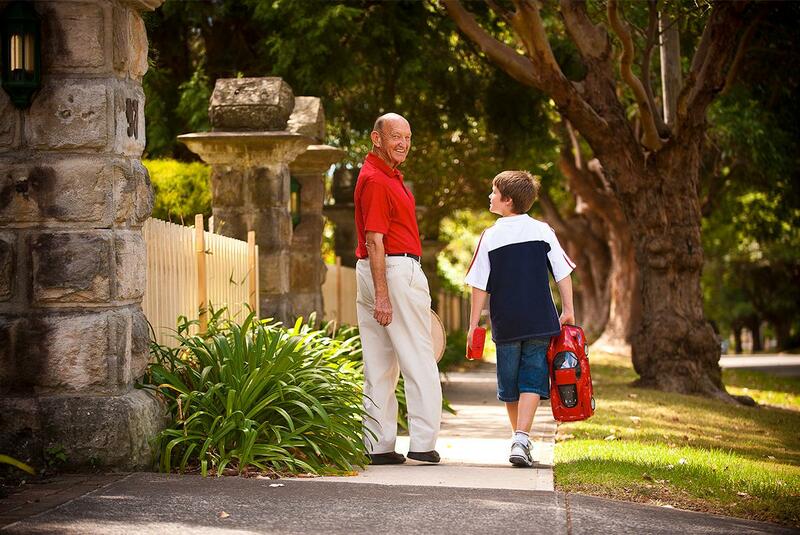 GBD assisted Viceroy with the market launch and project management of its new retirement estate, Mount Gilead. 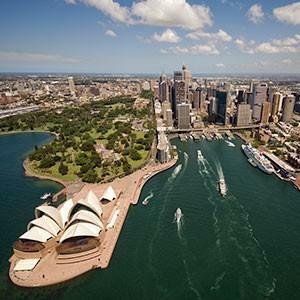 Idea: GBD enlisted prominent fashion and media personality Maggie Tabberer as the face of the ‘positive ageing’ campaign, which included a media launch at the Sydney Opera House. 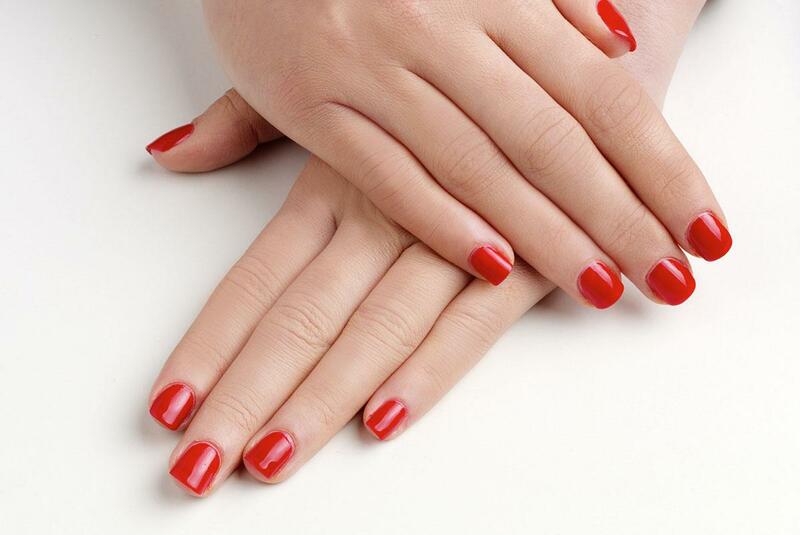 Results: Within four months of the launch, the campaign had generated $25 million in sales. This was a total of 70 homes sold off the housing plans alone.